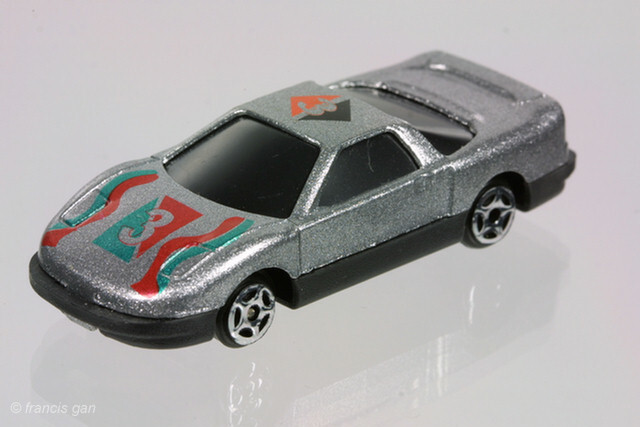 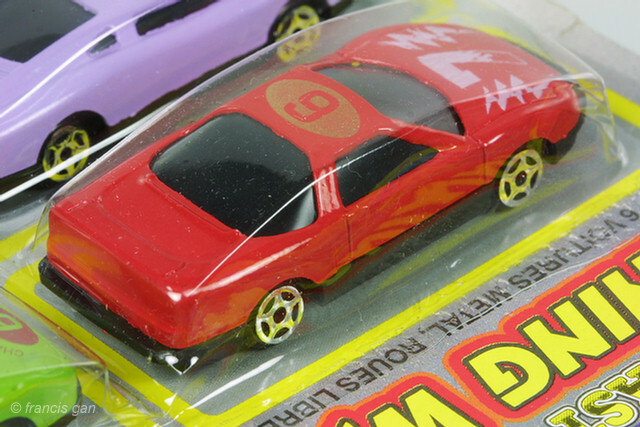 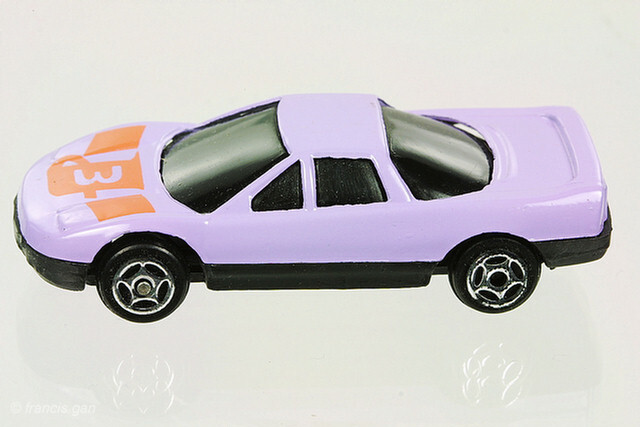 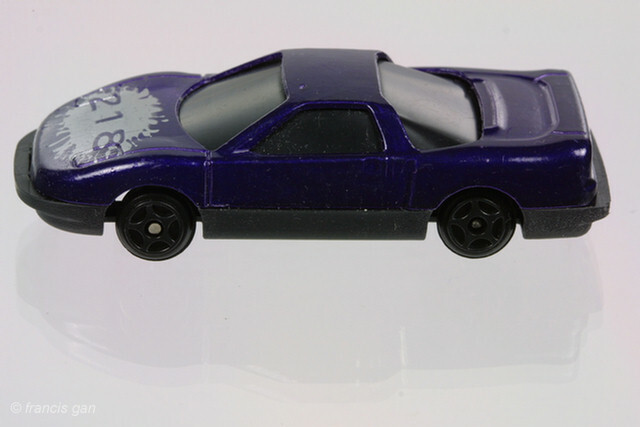 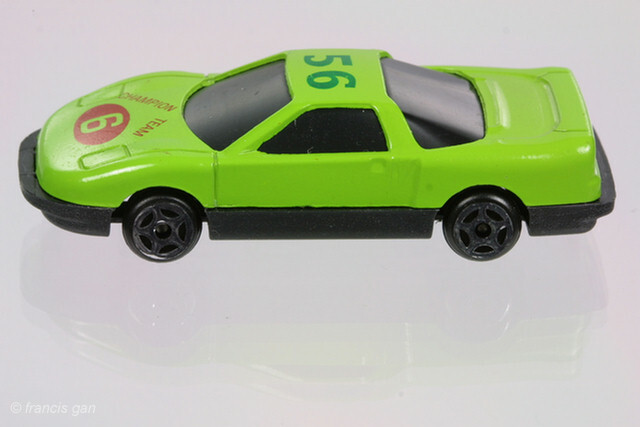 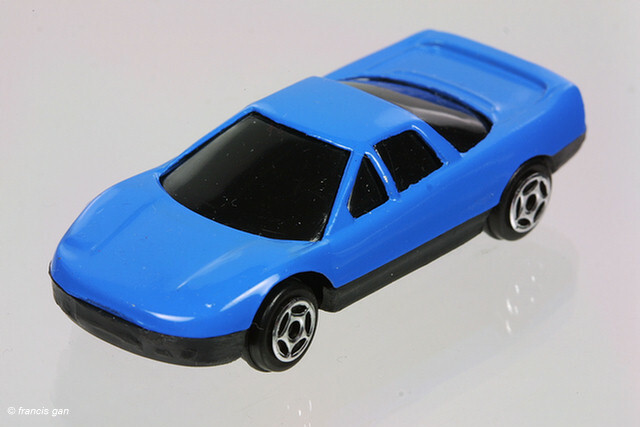 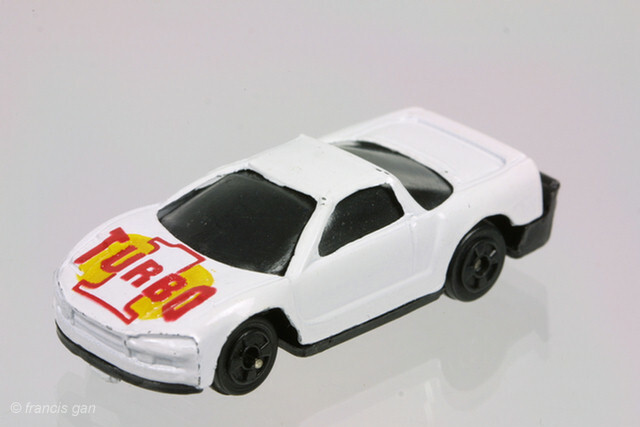 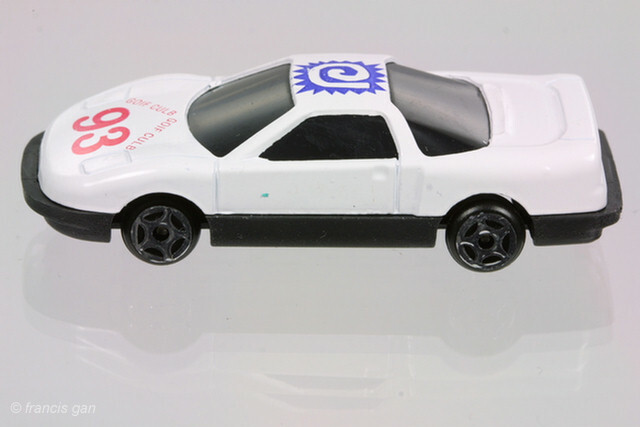 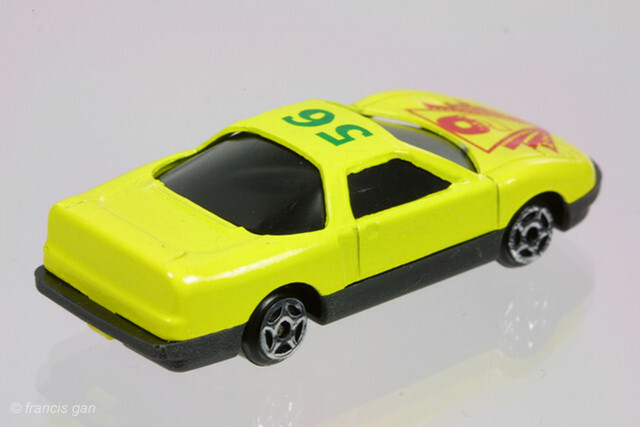 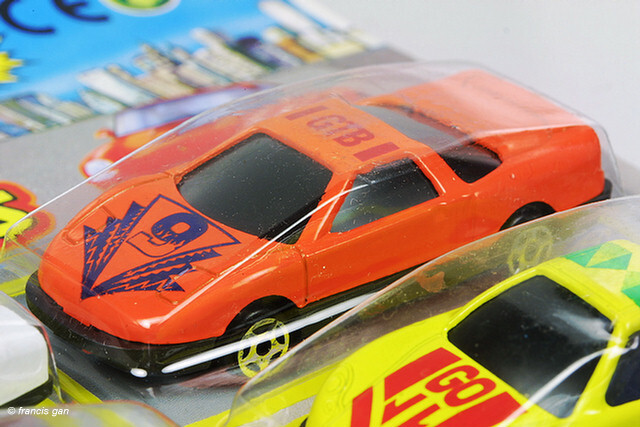 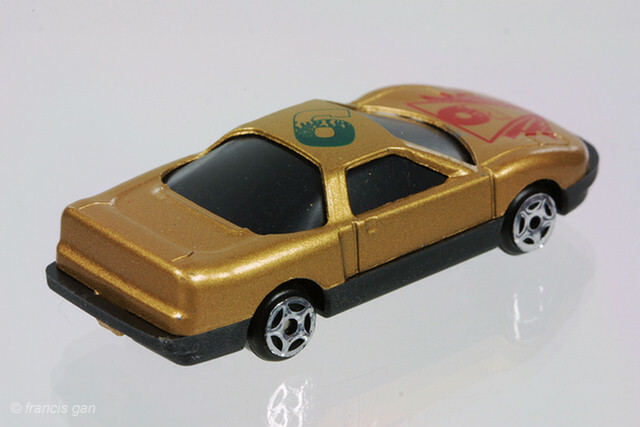 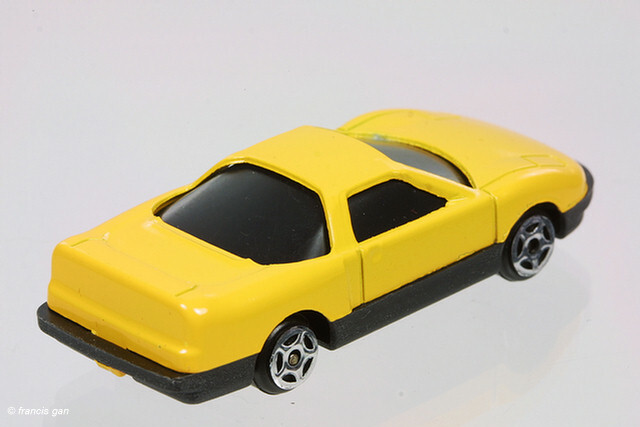 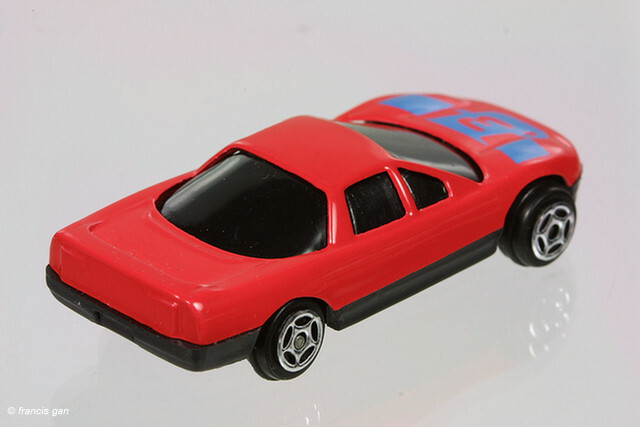 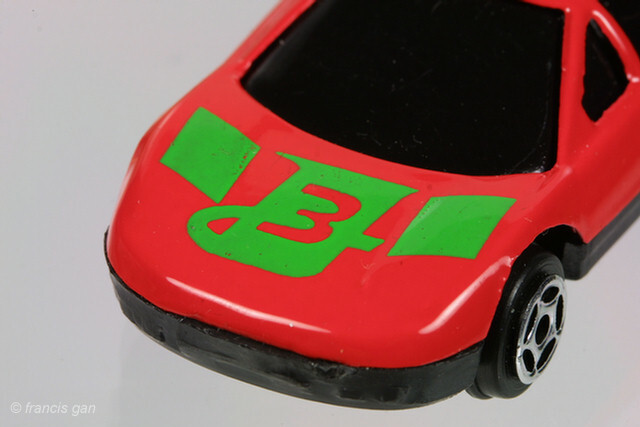 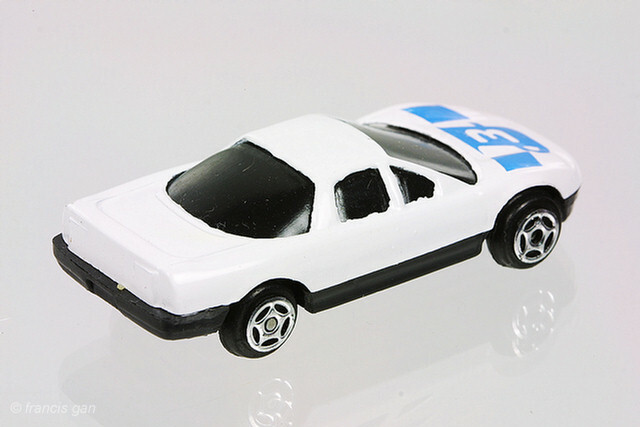 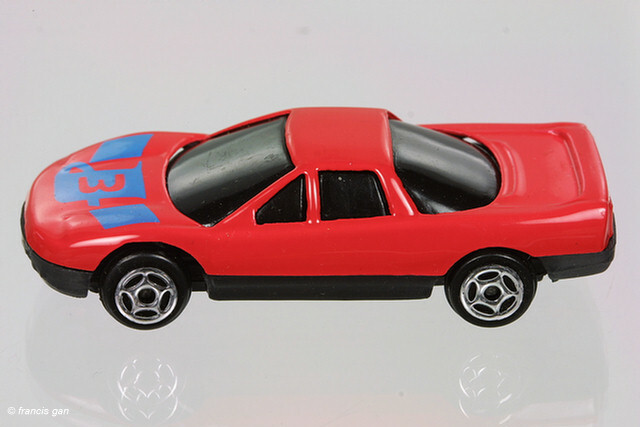 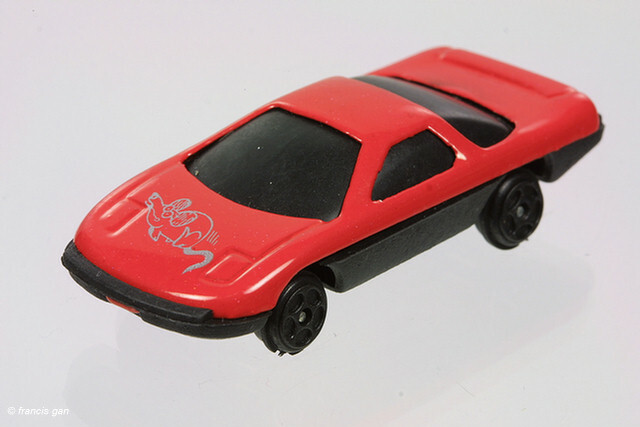 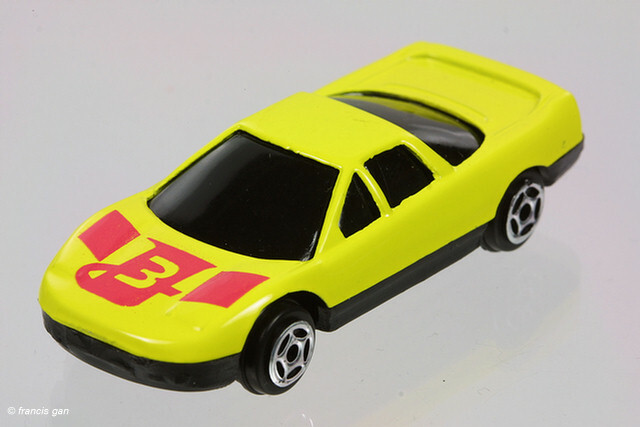 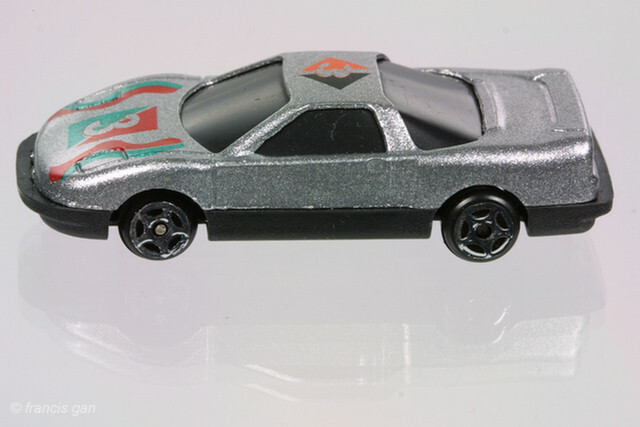 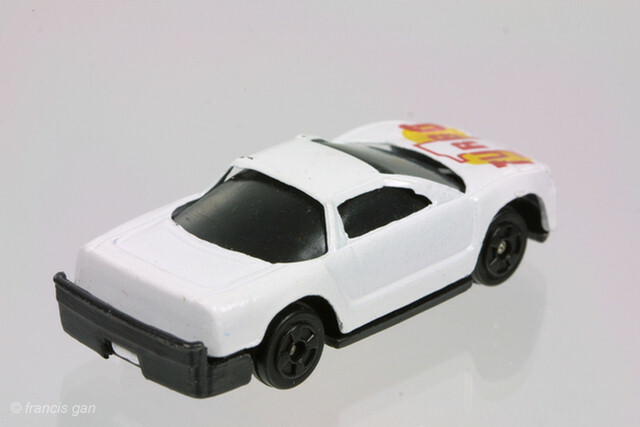 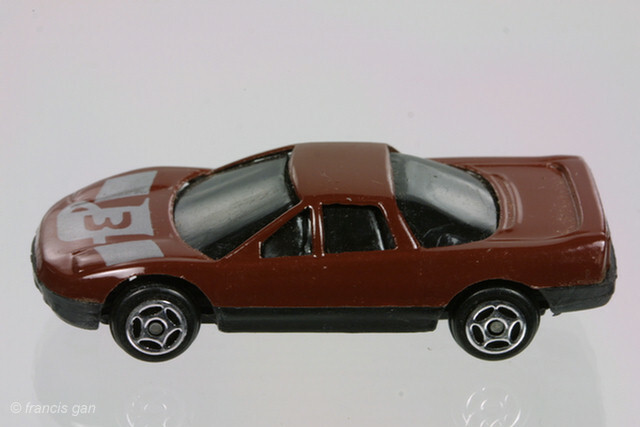 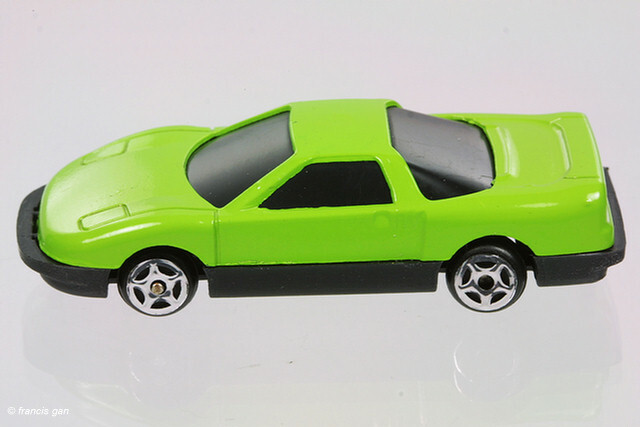 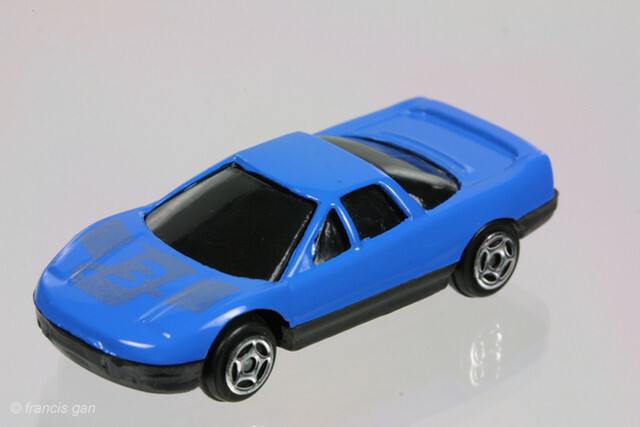 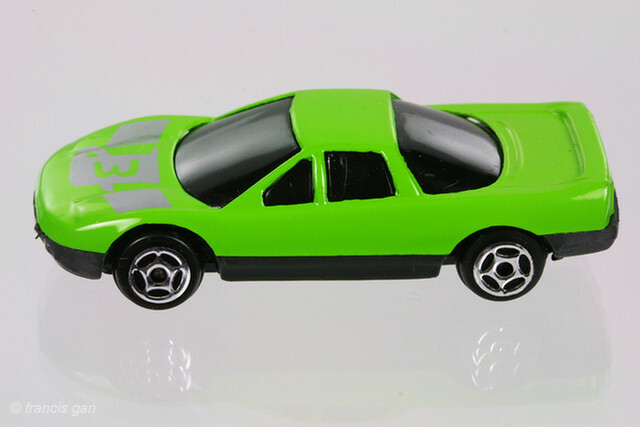 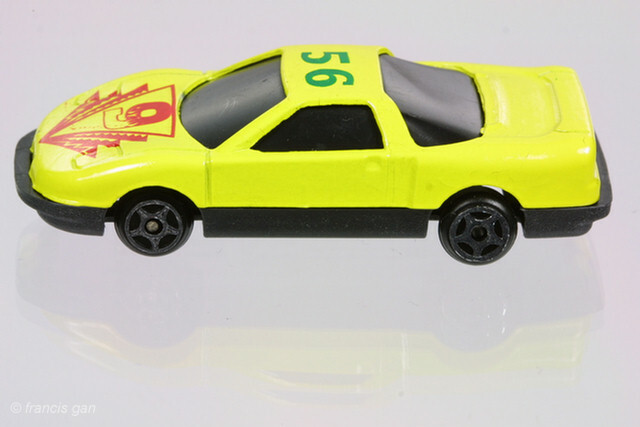 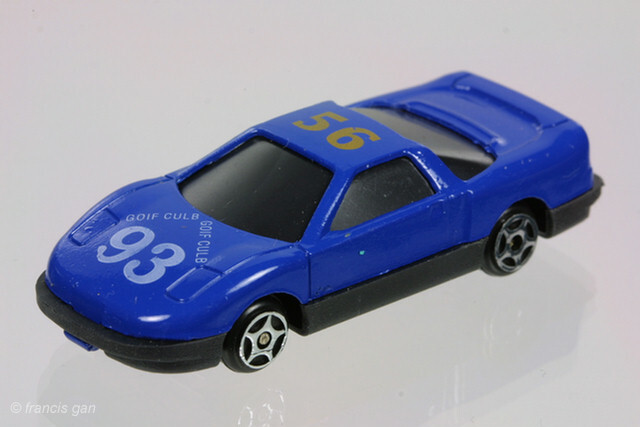 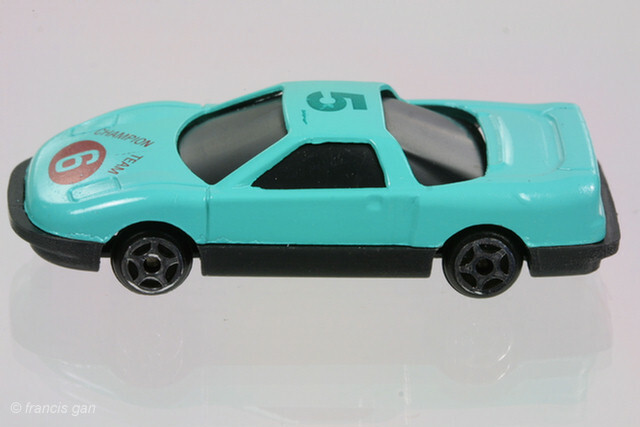 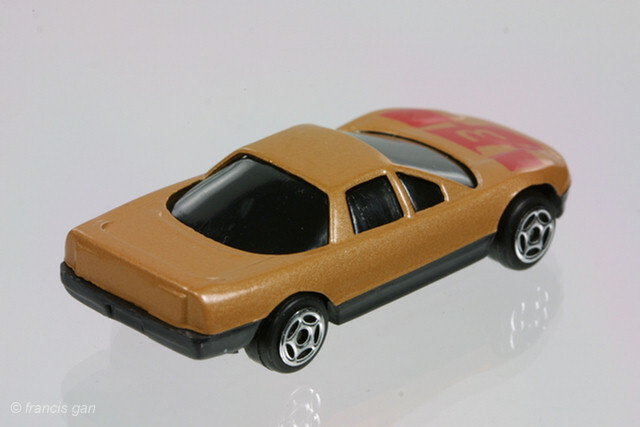 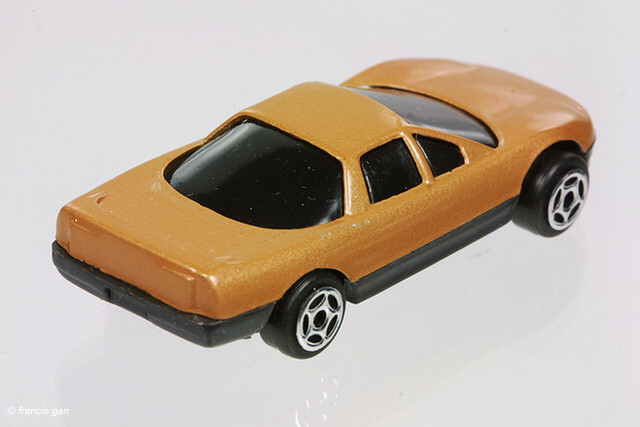 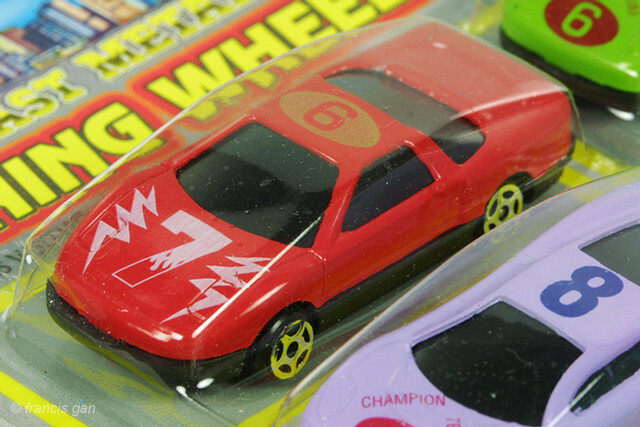 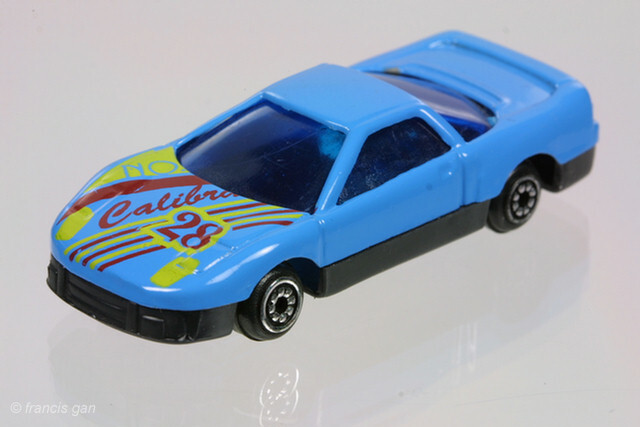 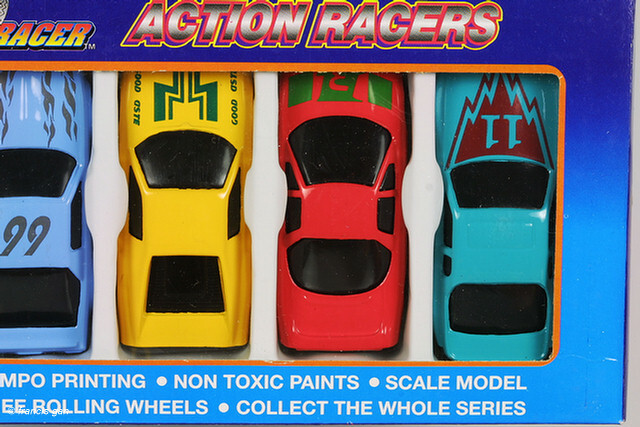 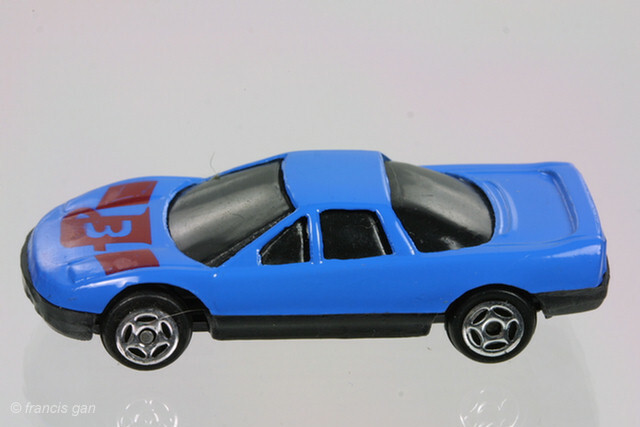 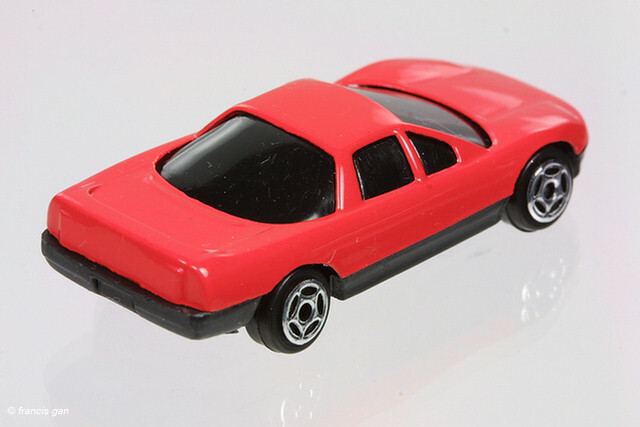 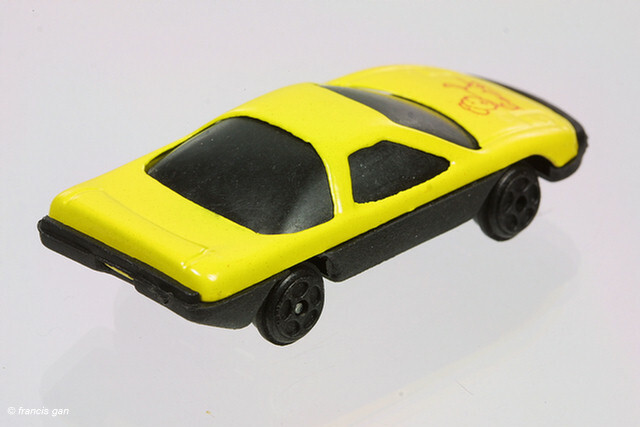 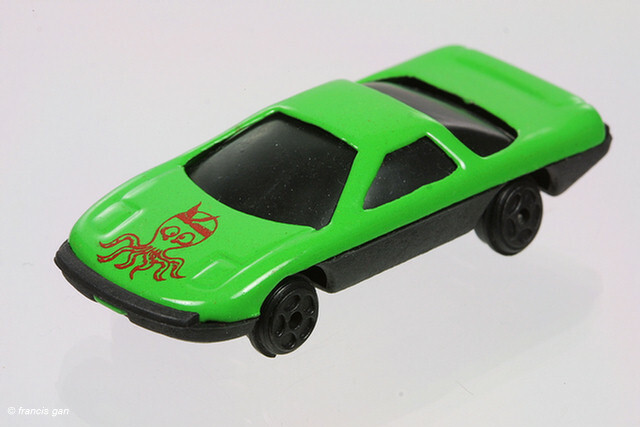 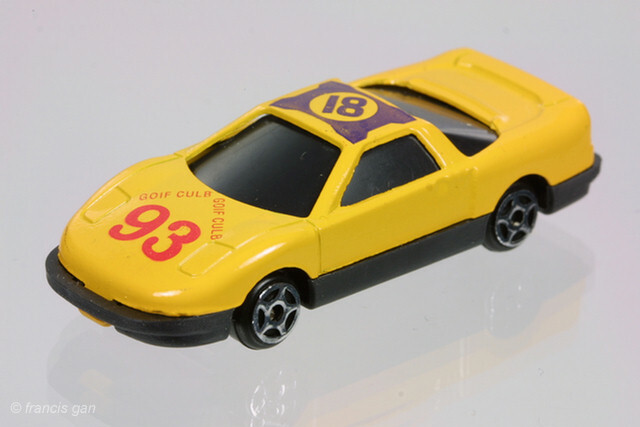 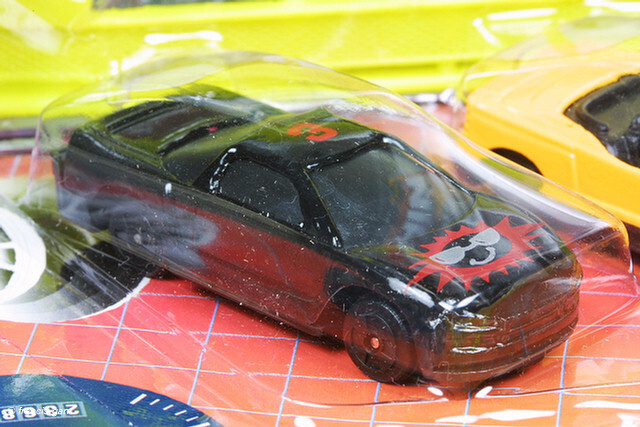 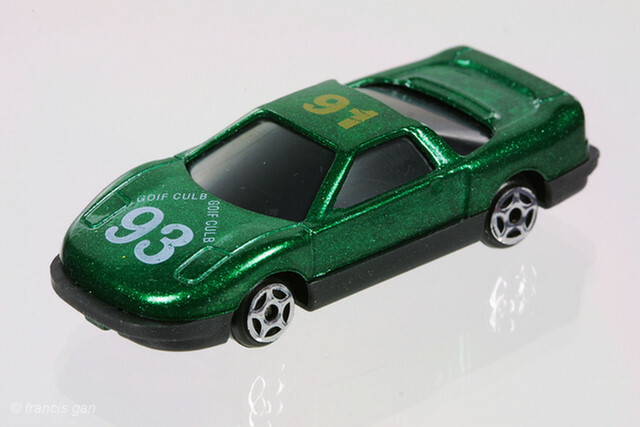 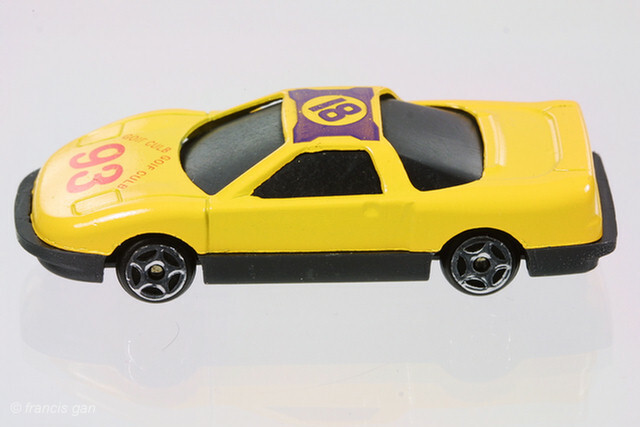 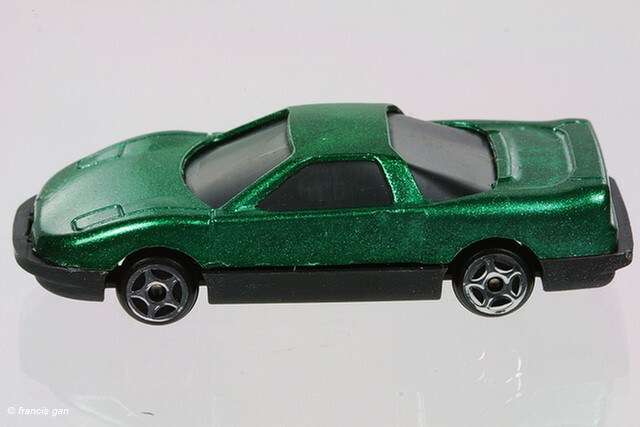 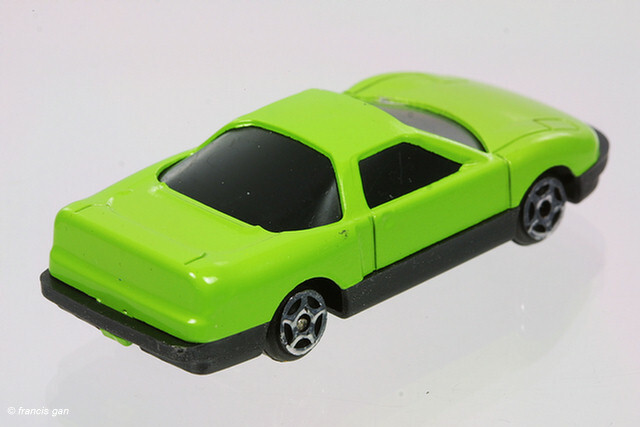 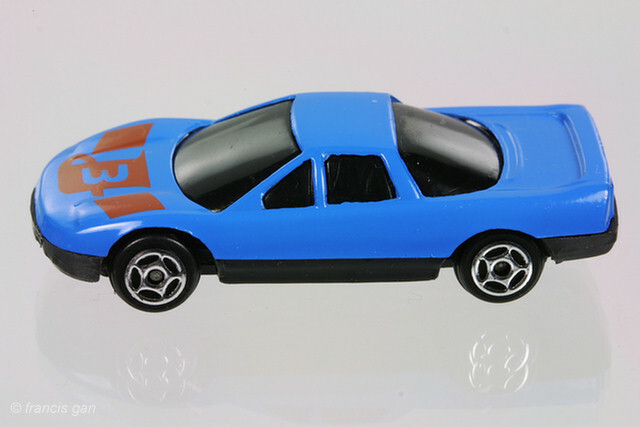 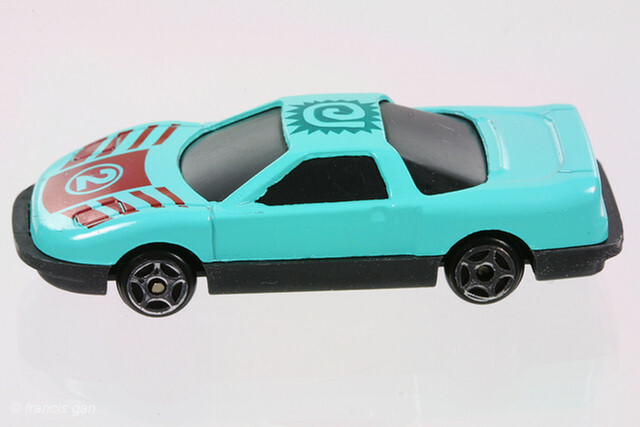 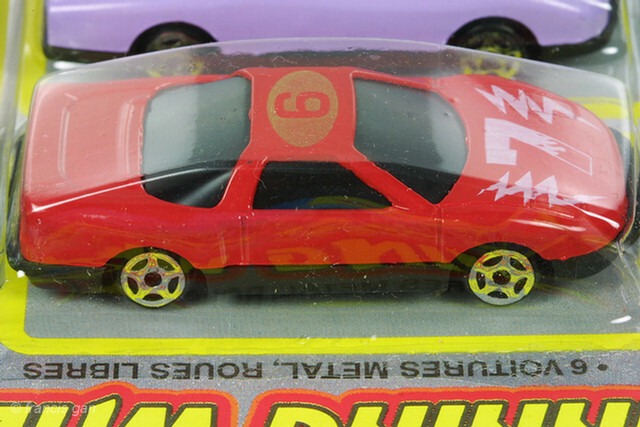 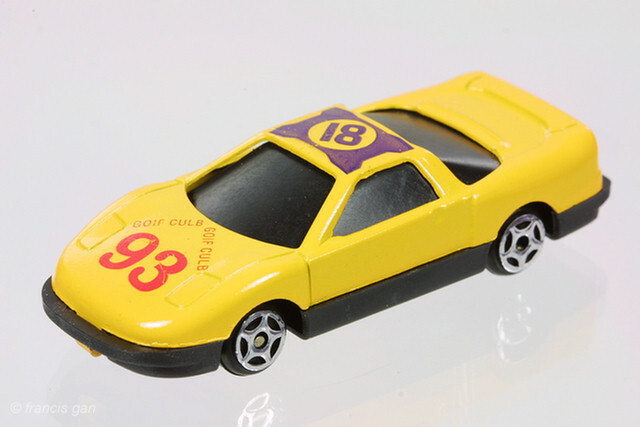 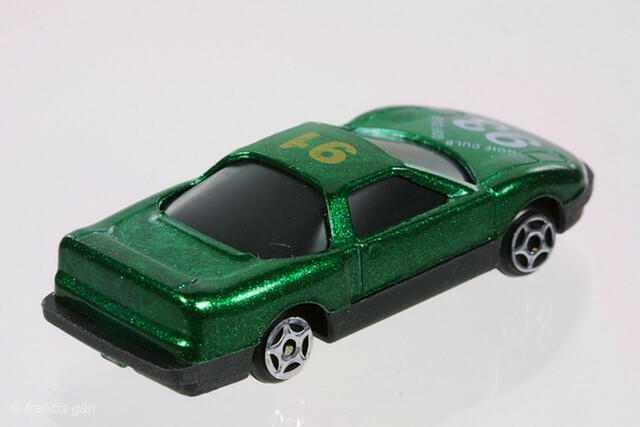 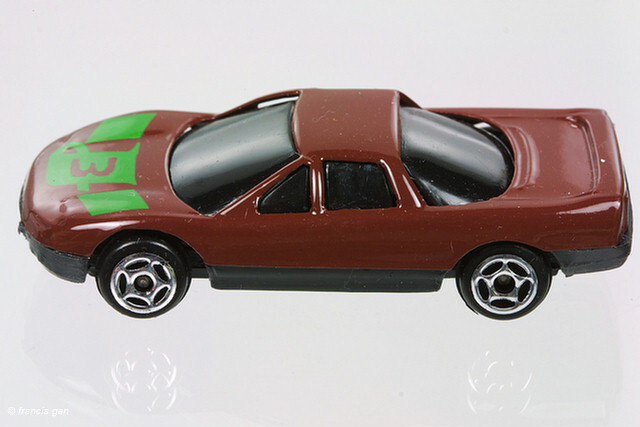 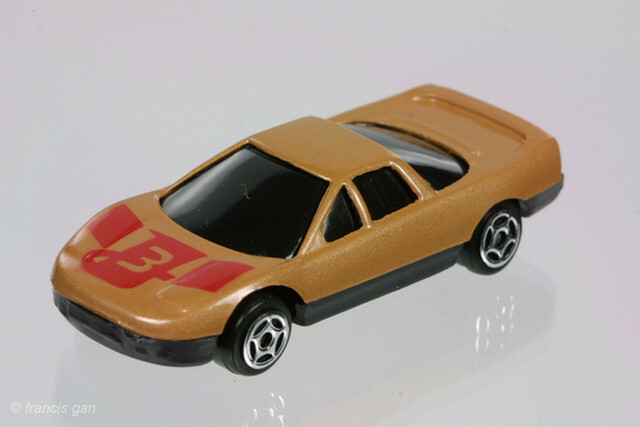 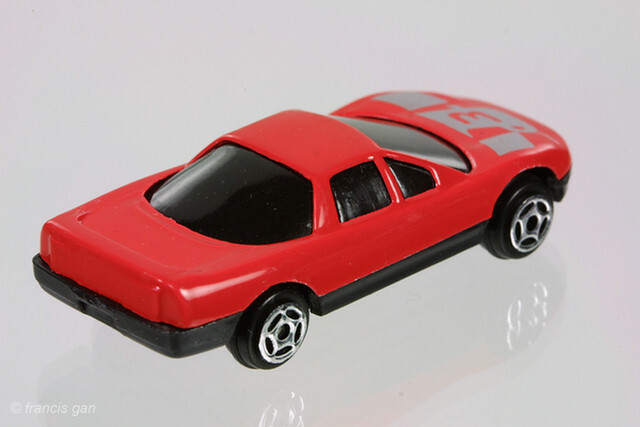 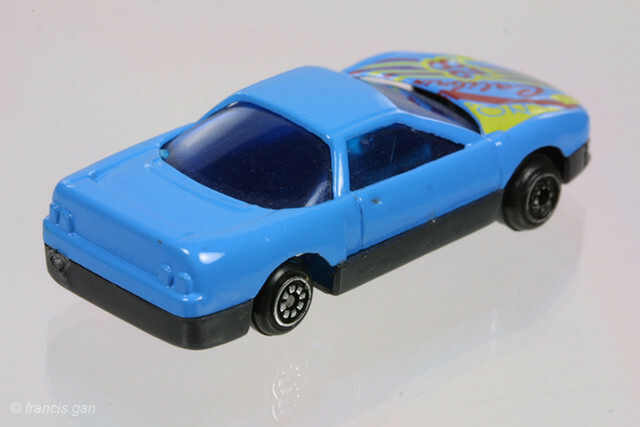 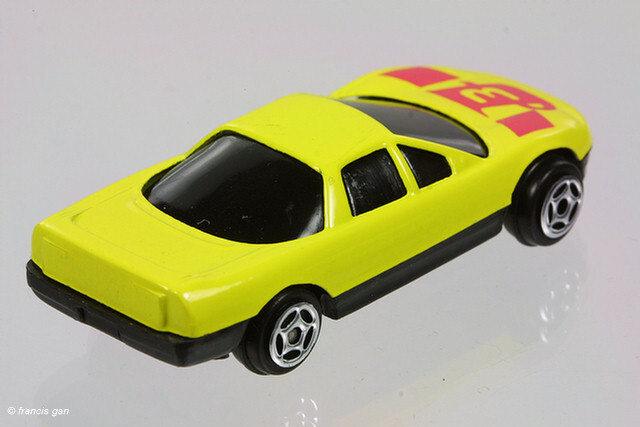 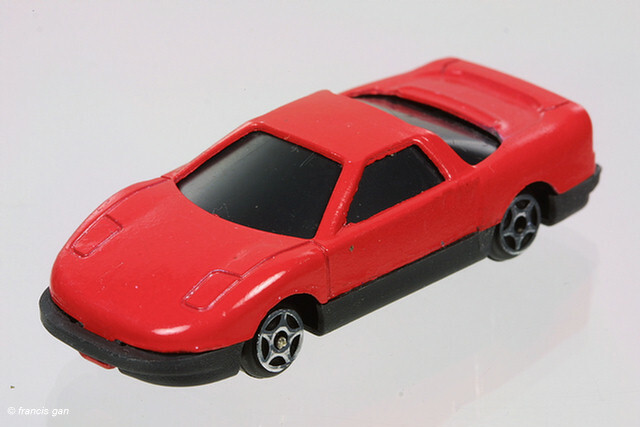 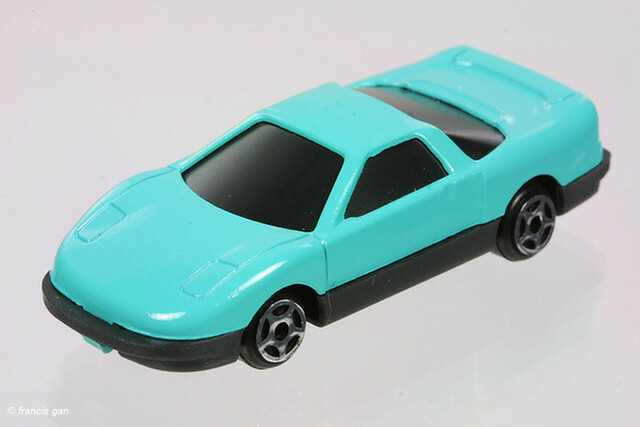 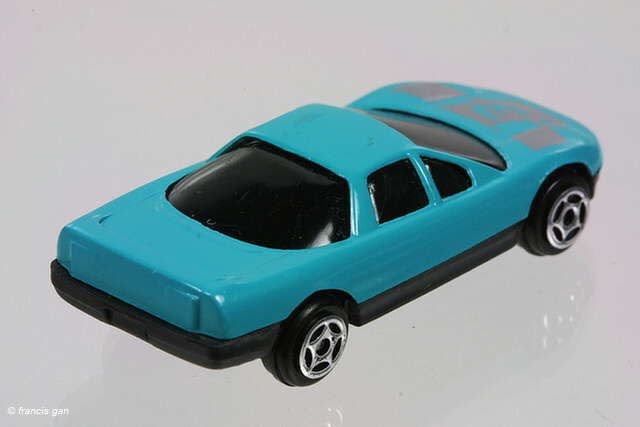 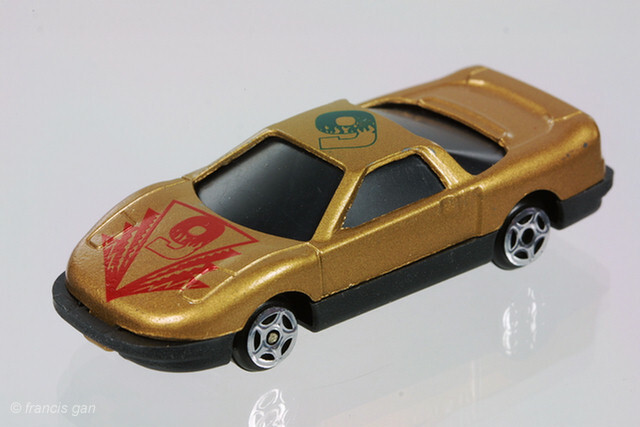 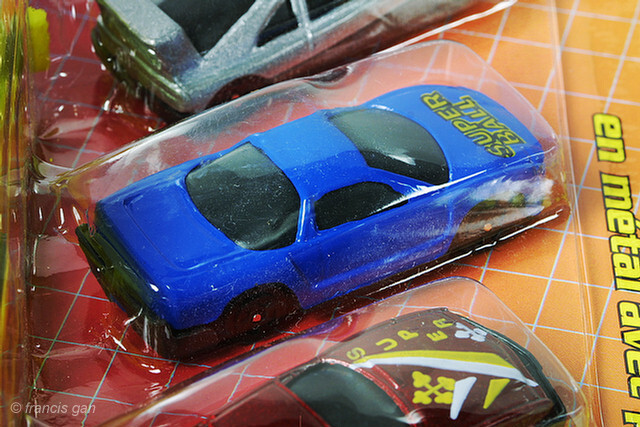 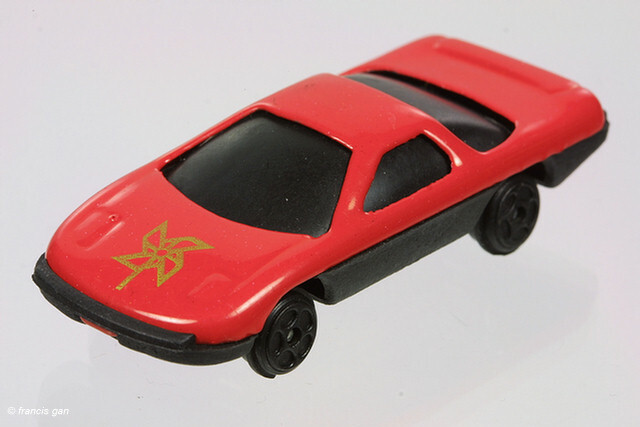 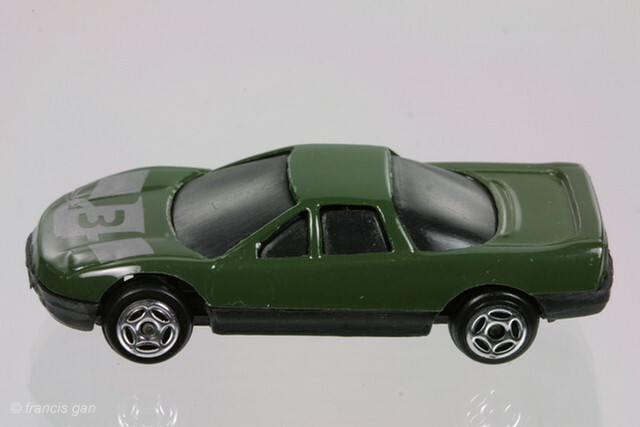 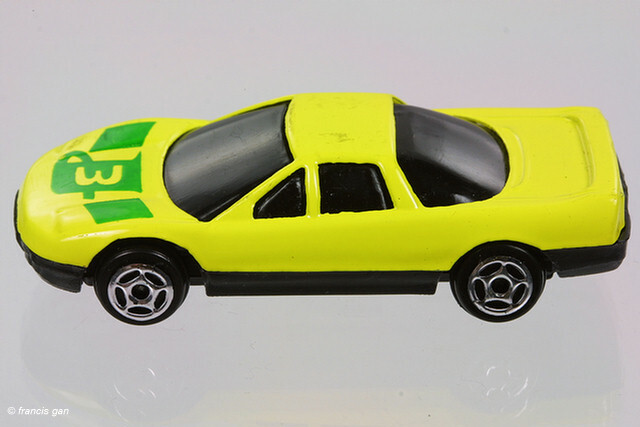 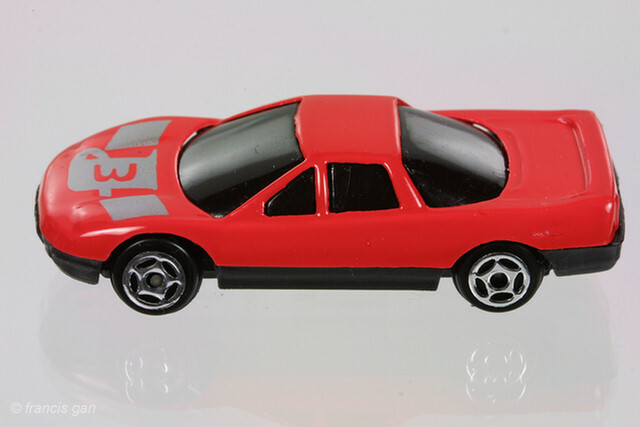 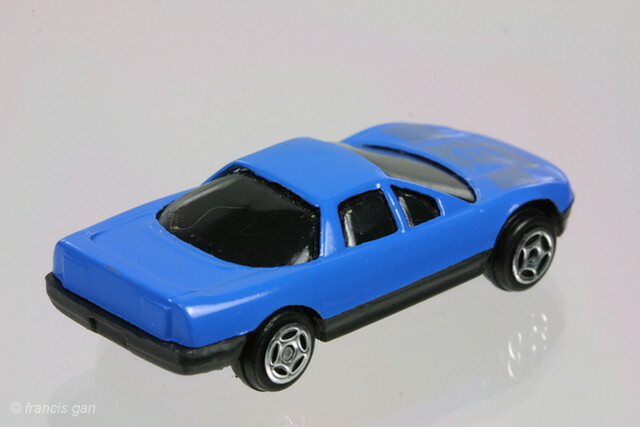 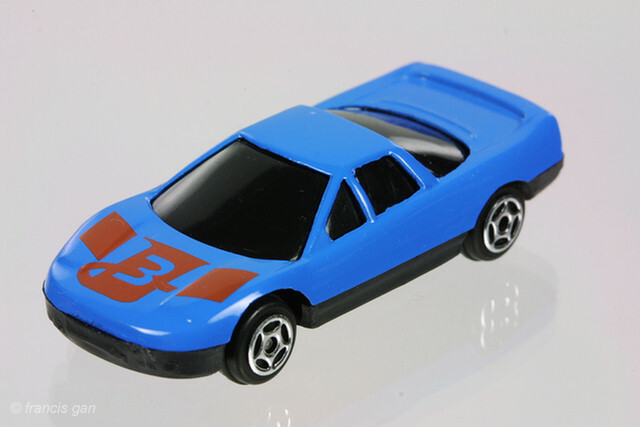 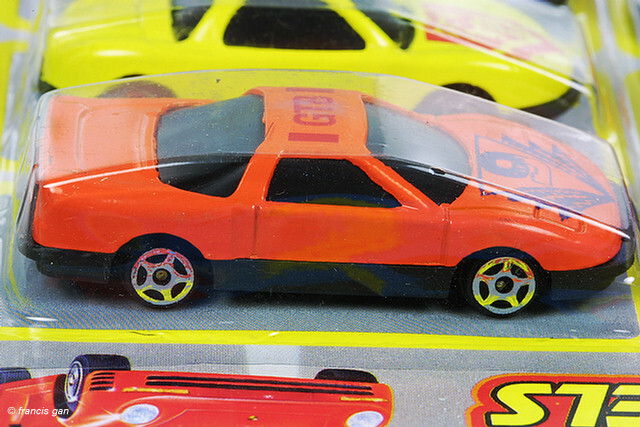 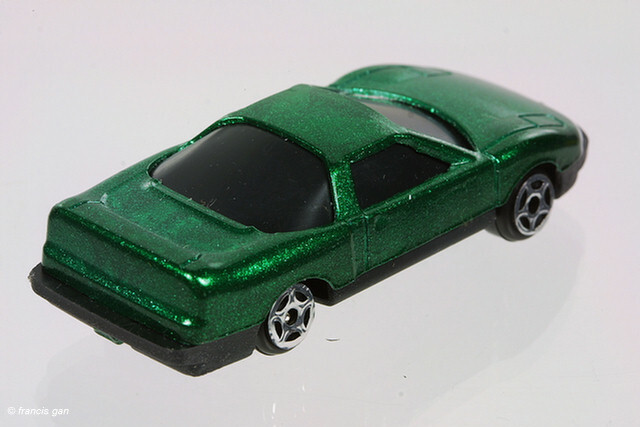 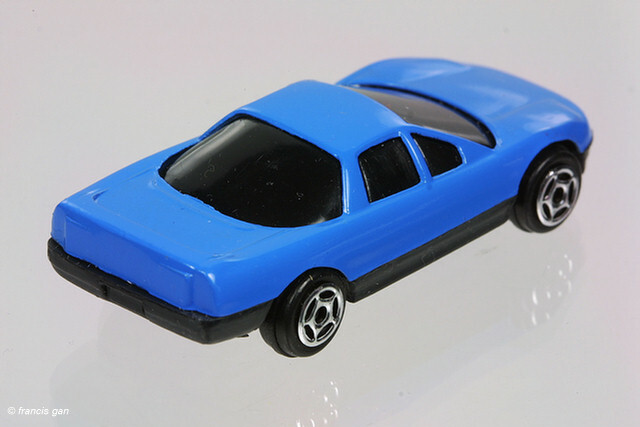 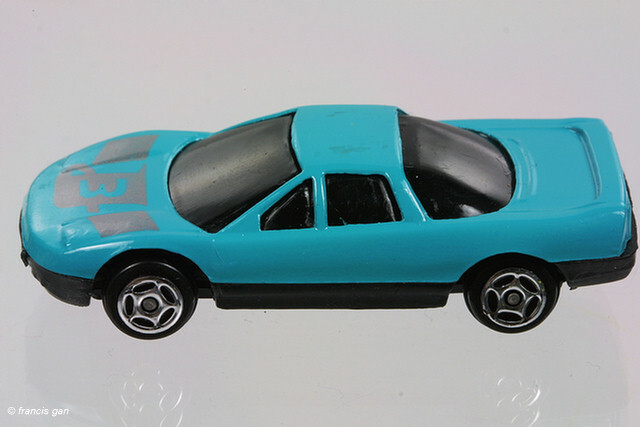 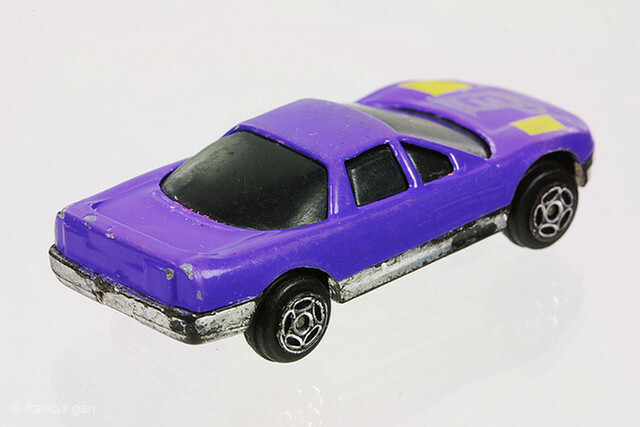 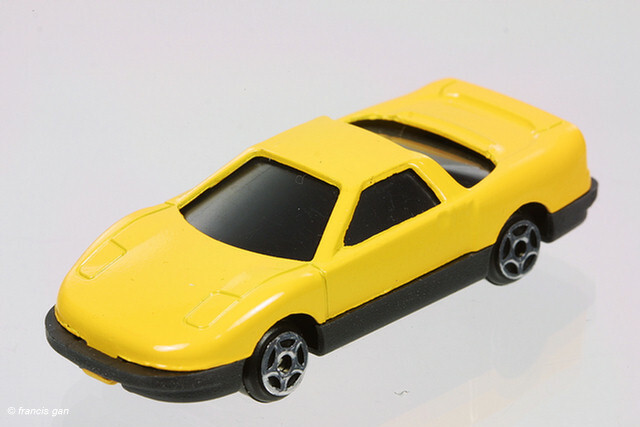 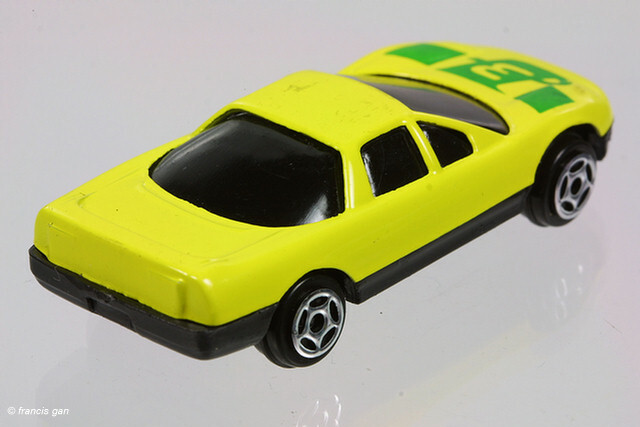 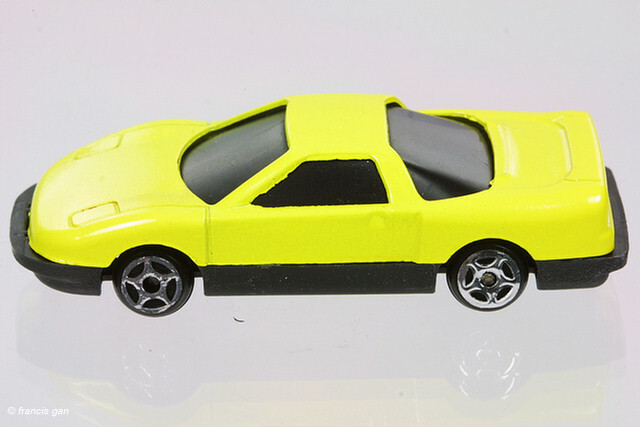 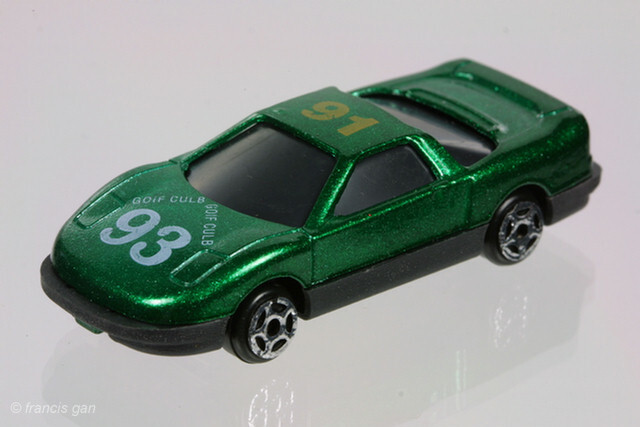 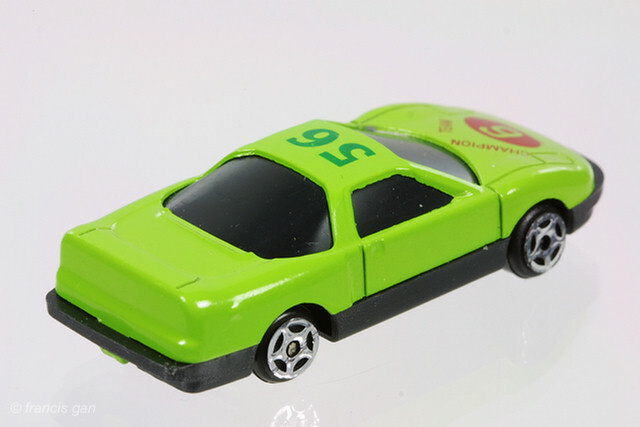 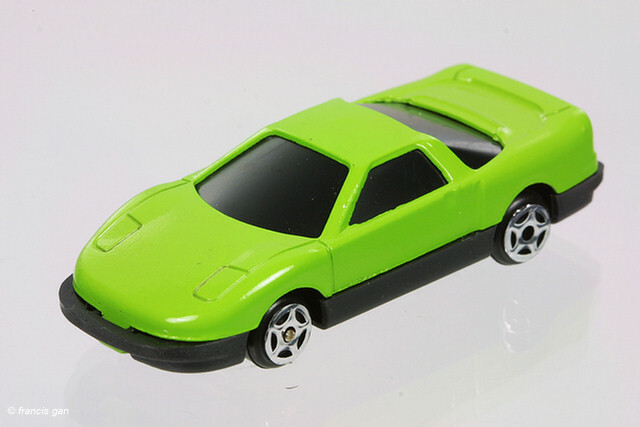 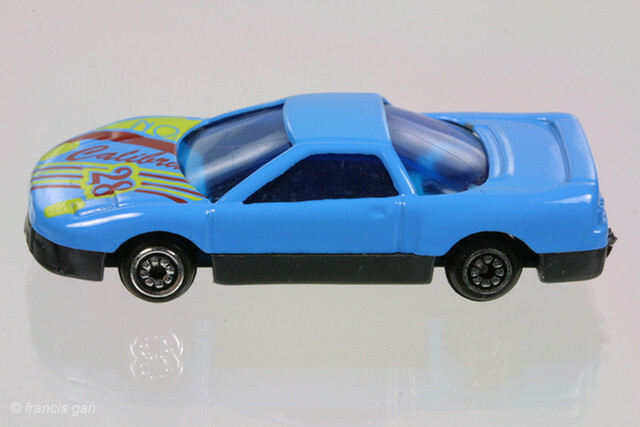 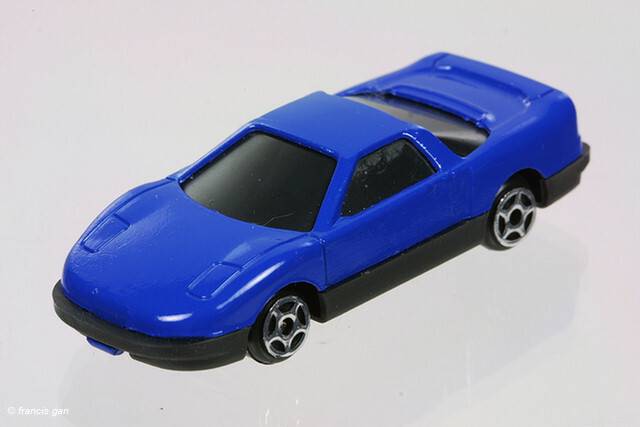 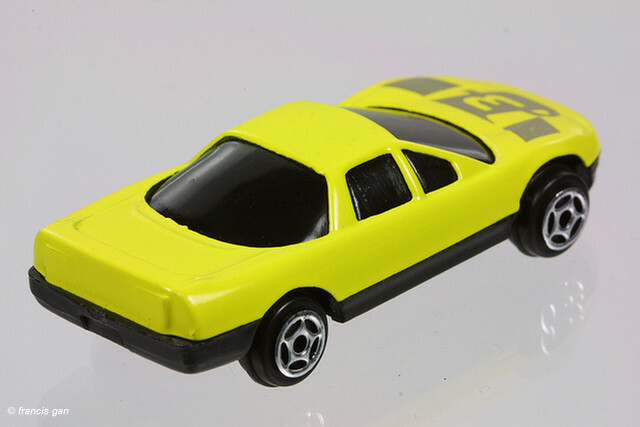 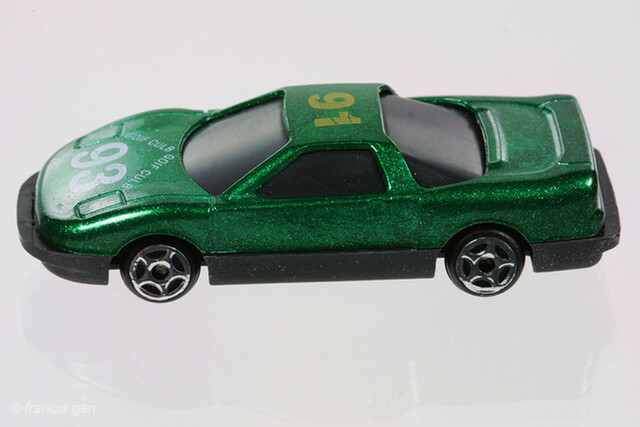 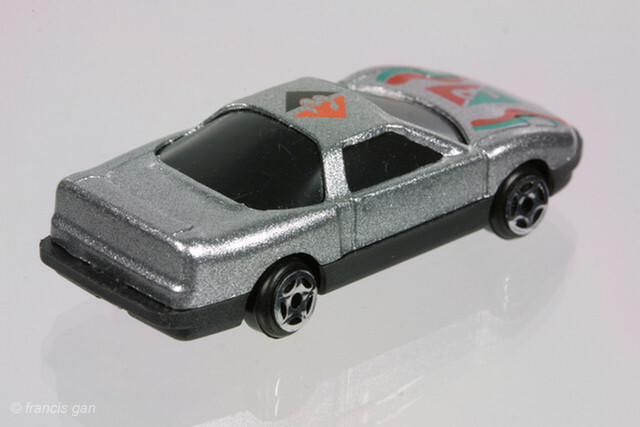 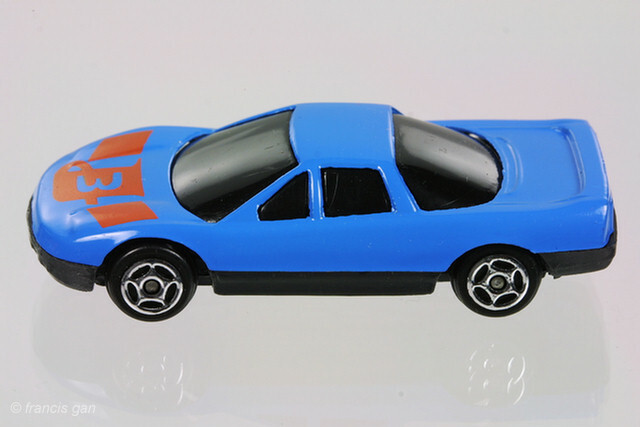 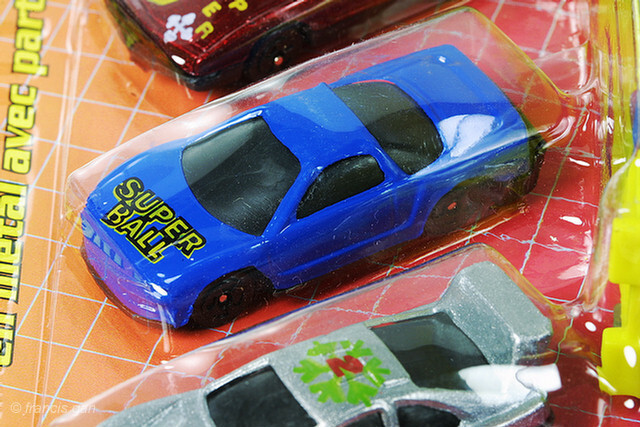 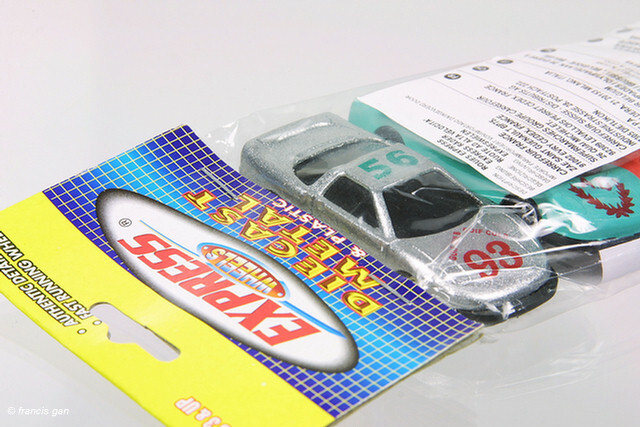 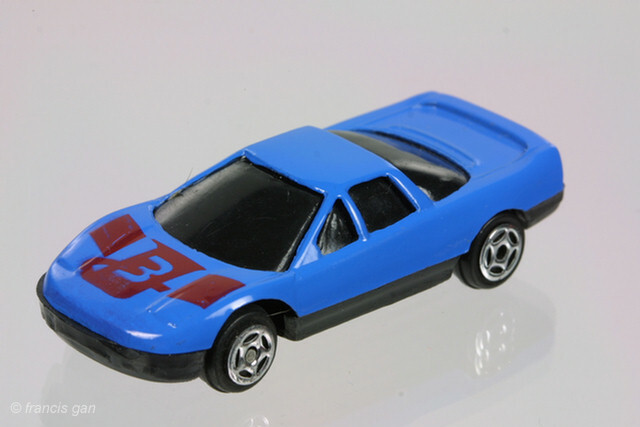 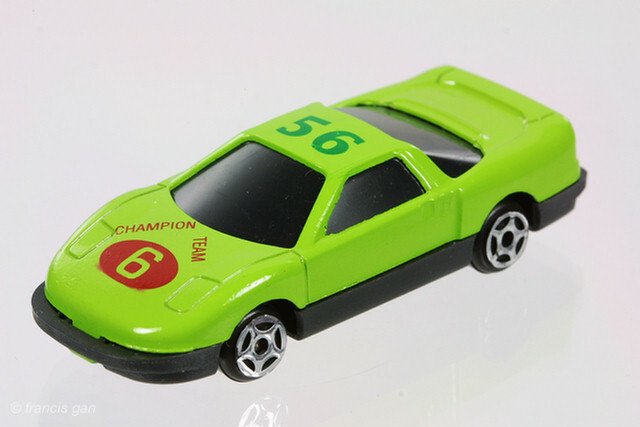 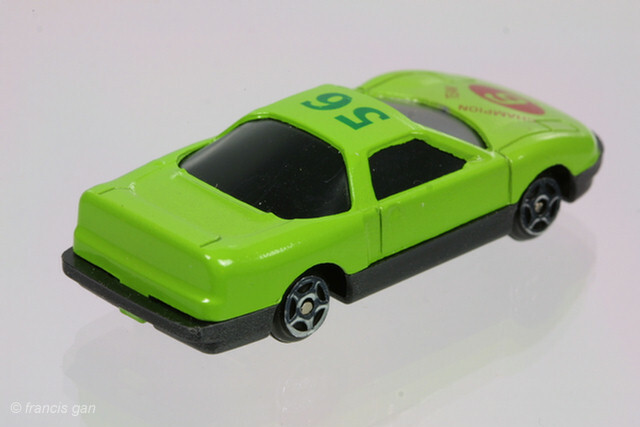 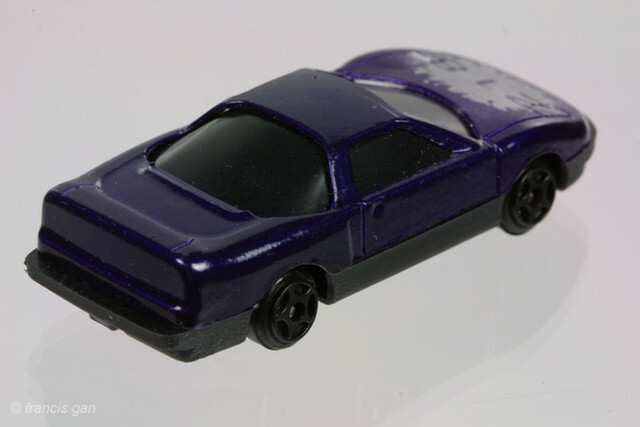 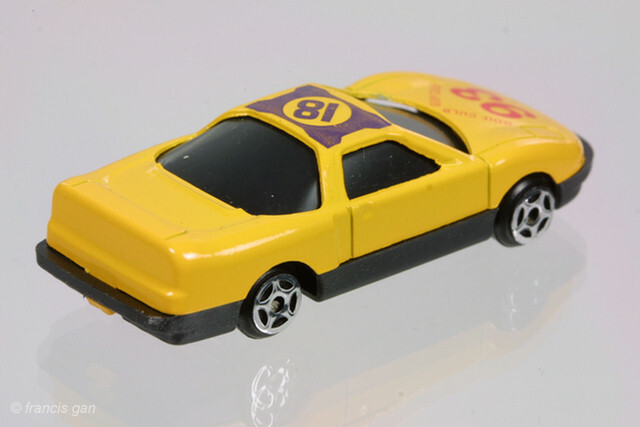 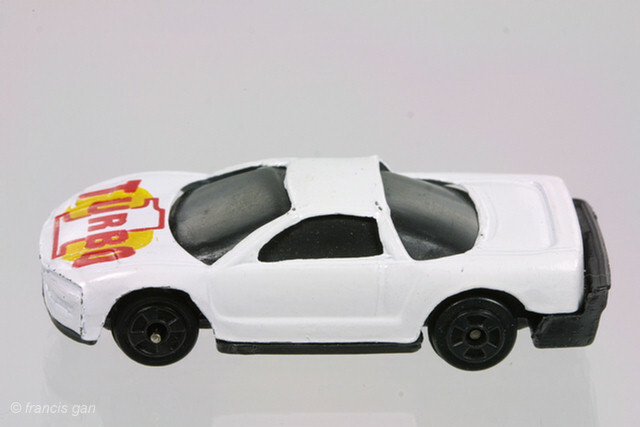 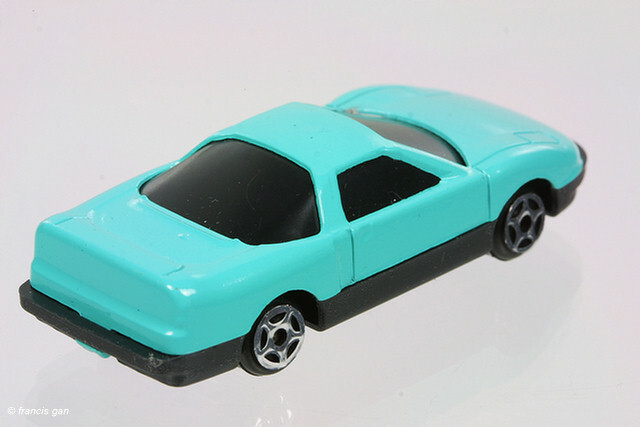 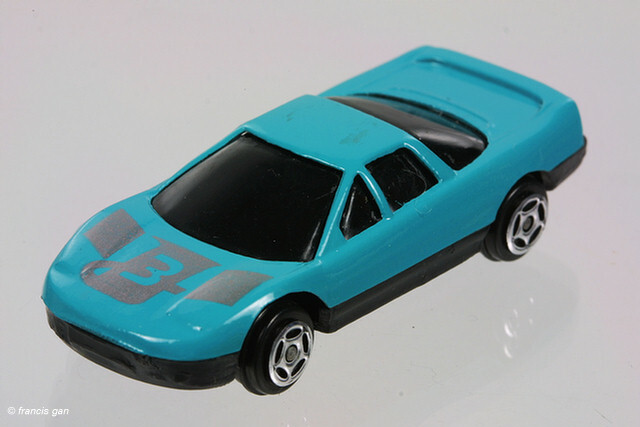 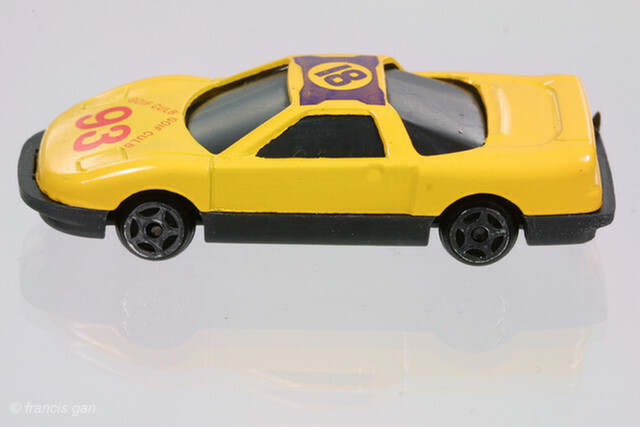 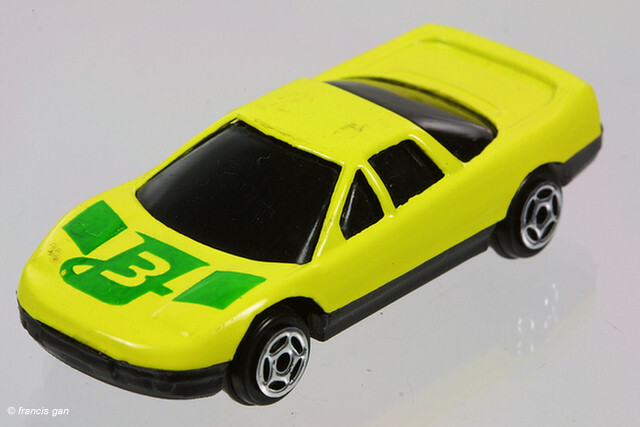 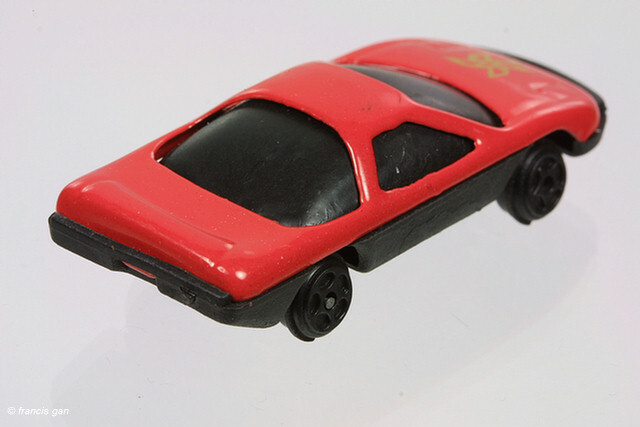 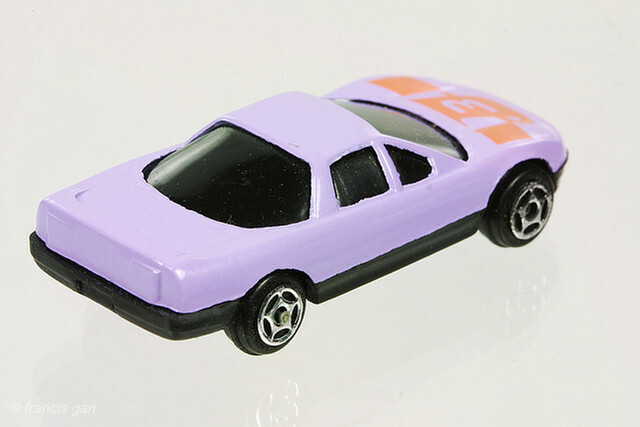 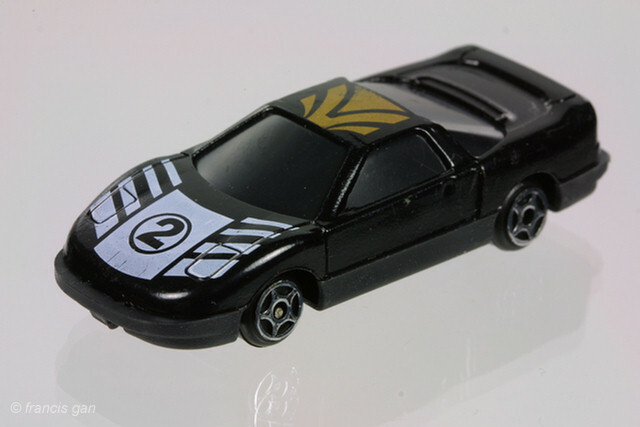 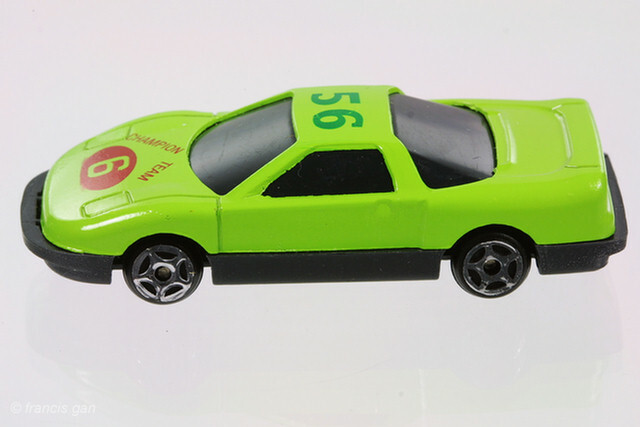 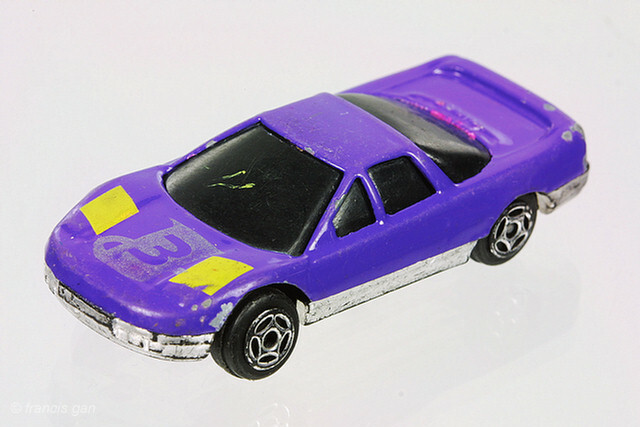 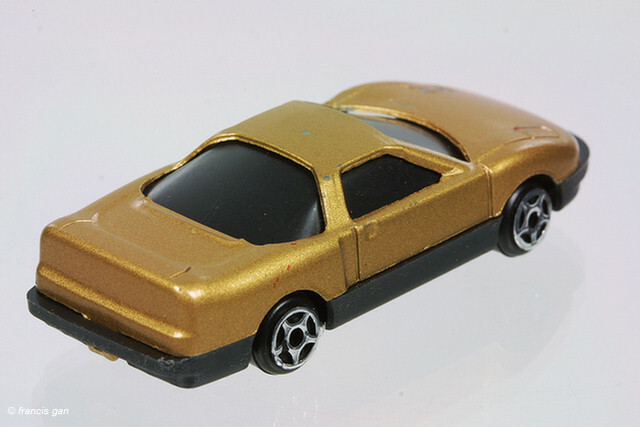 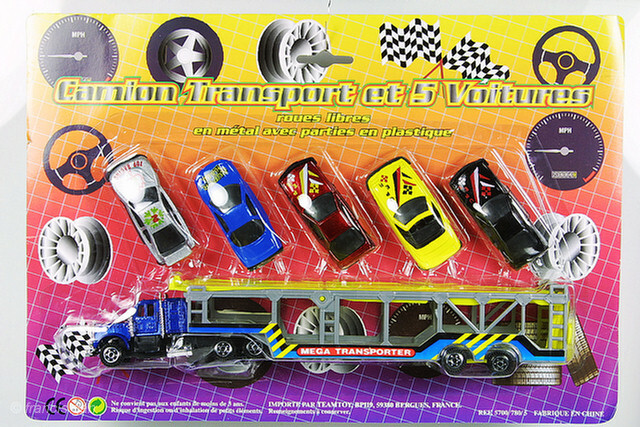 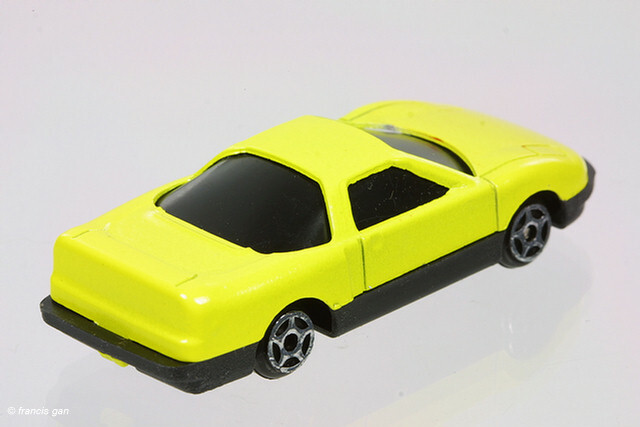 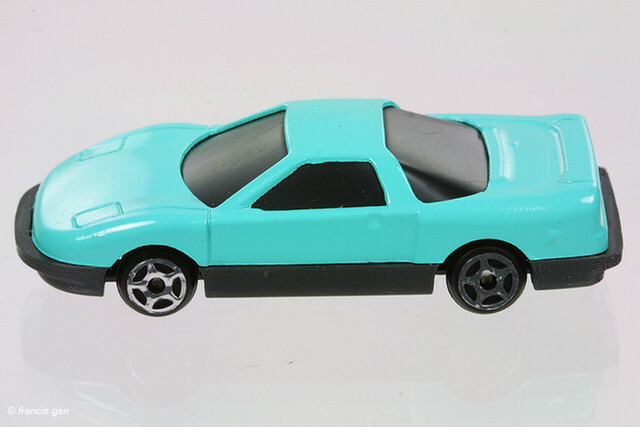 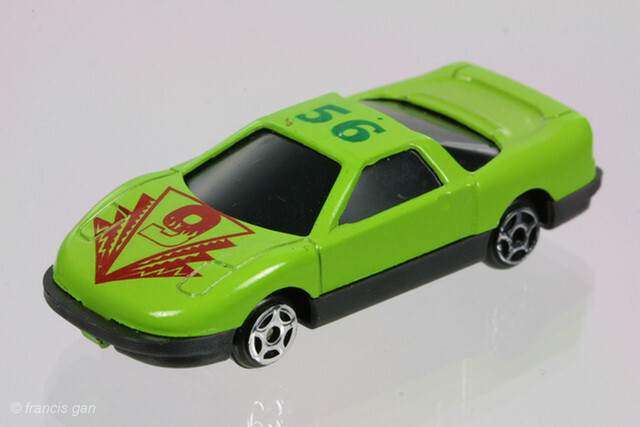 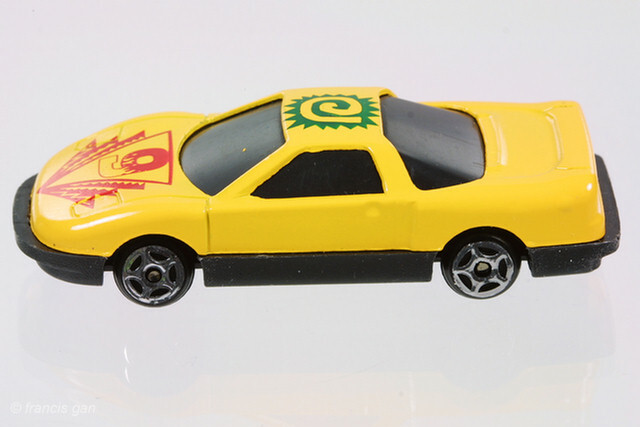 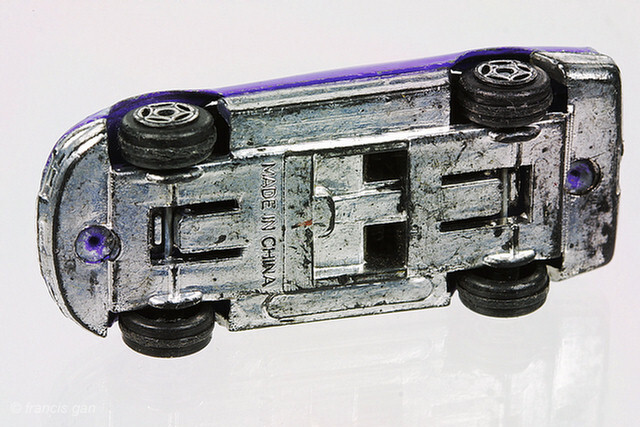 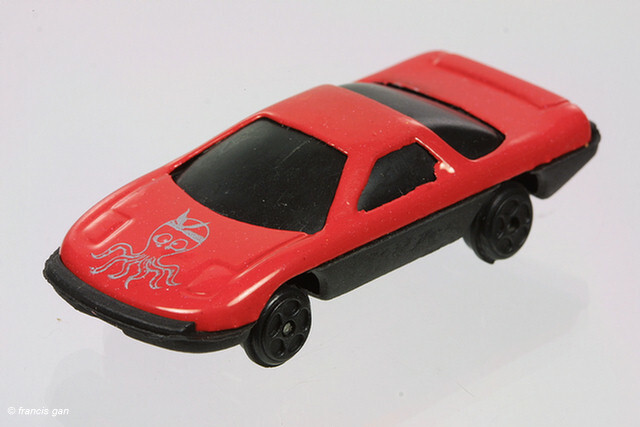 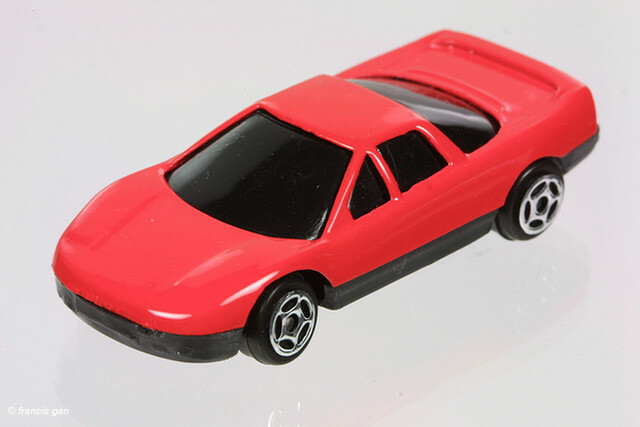 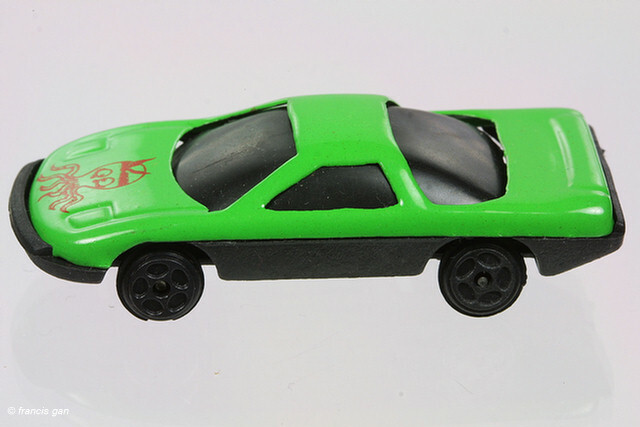 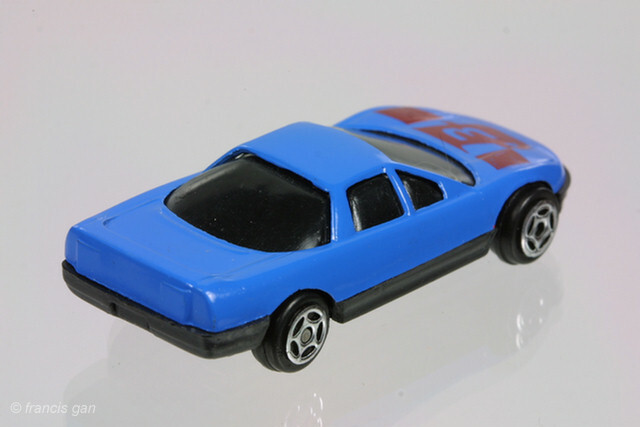 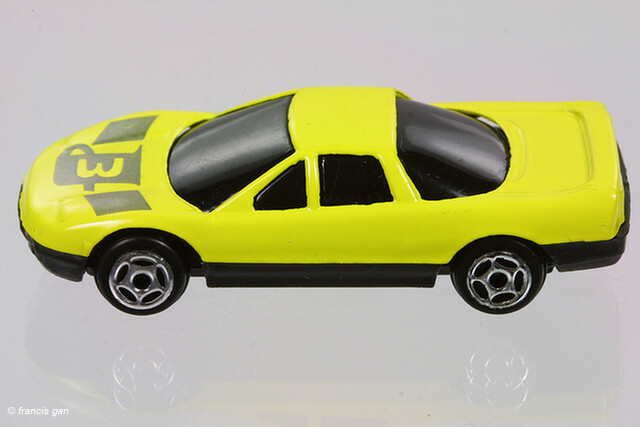 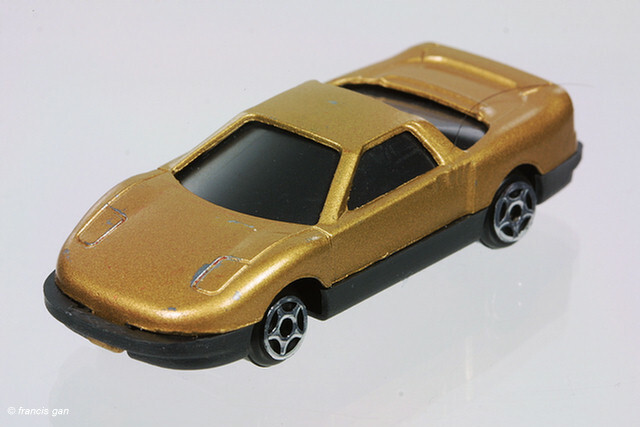 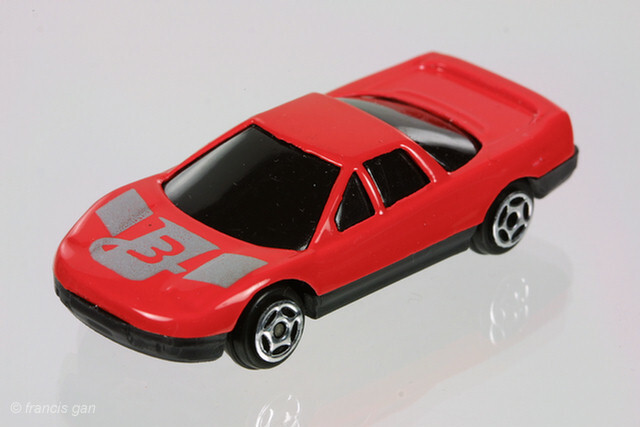 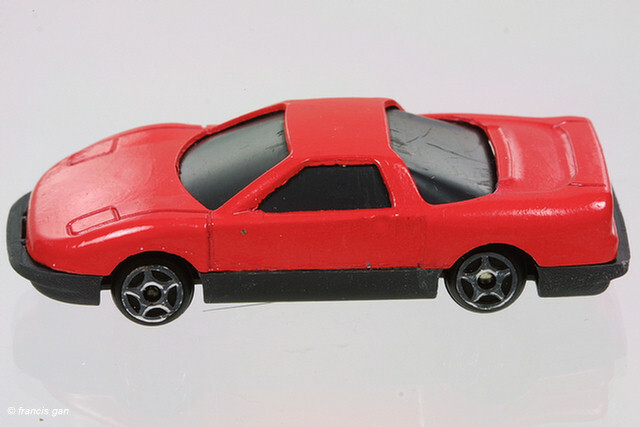 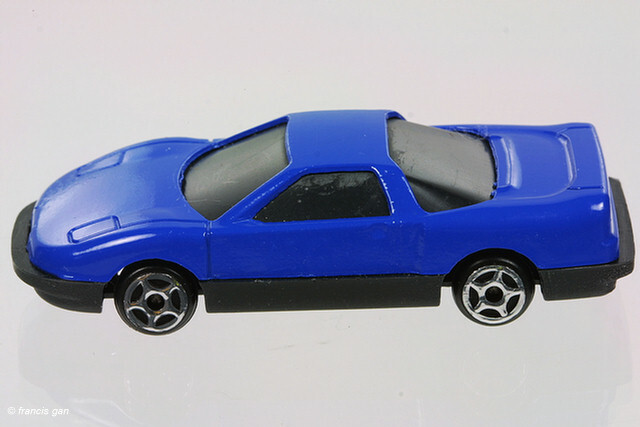 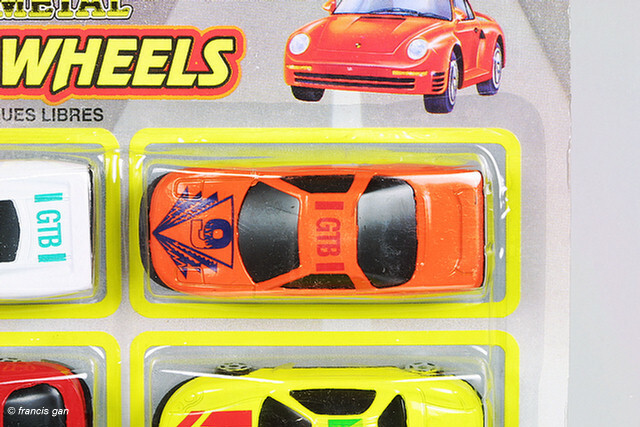 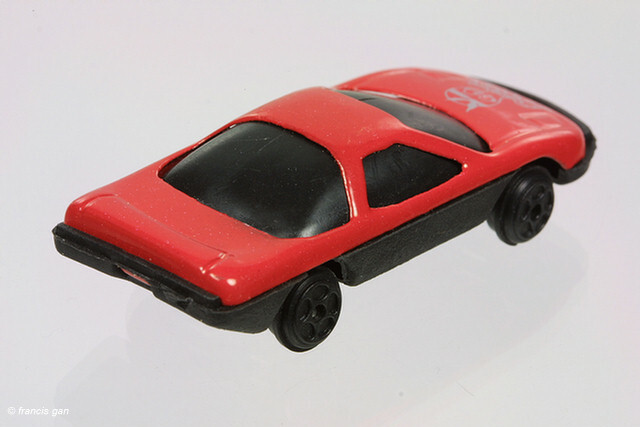 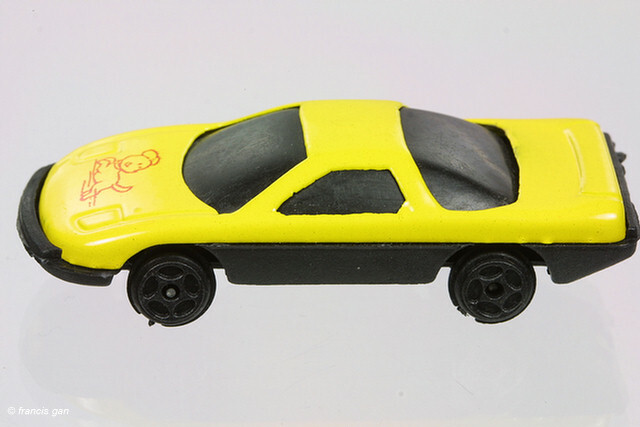 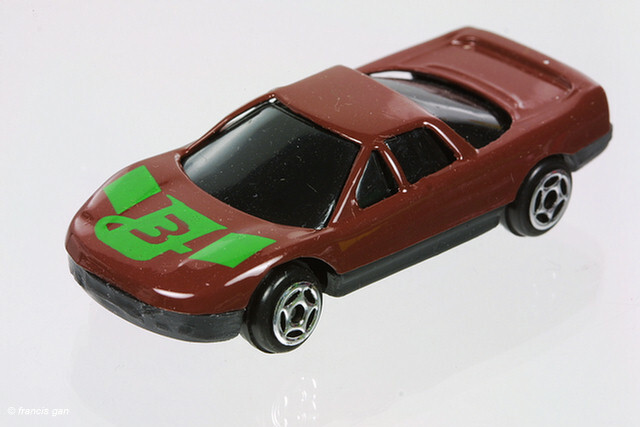 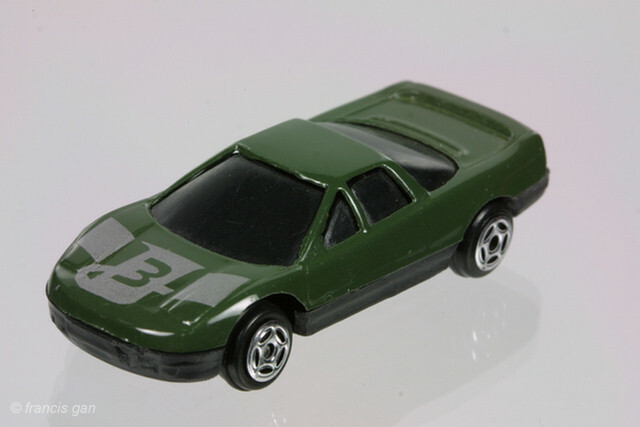 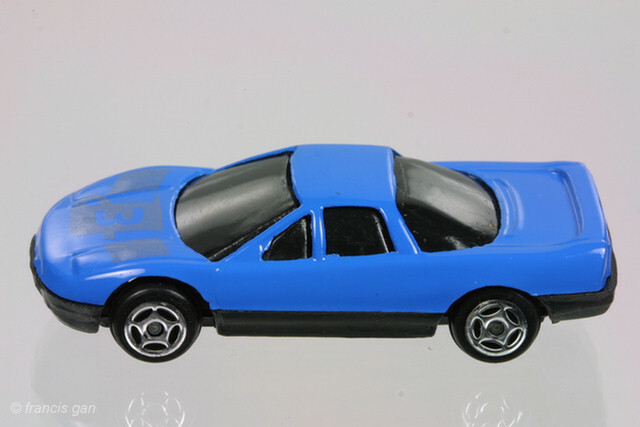 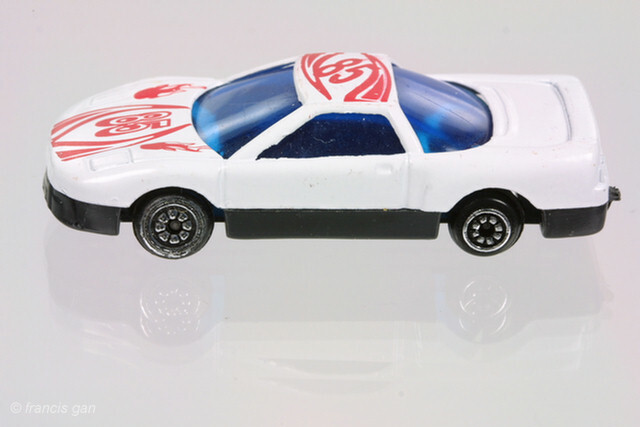 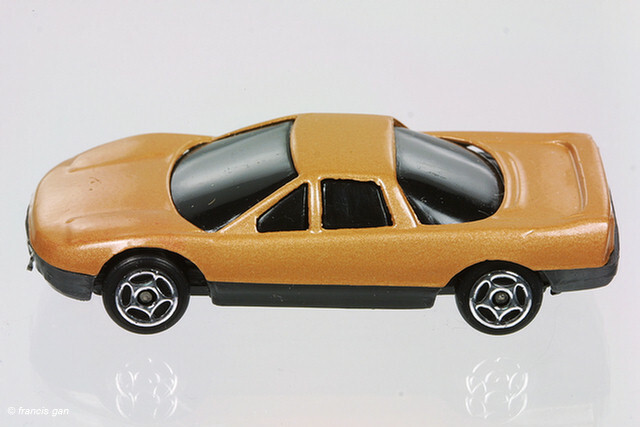 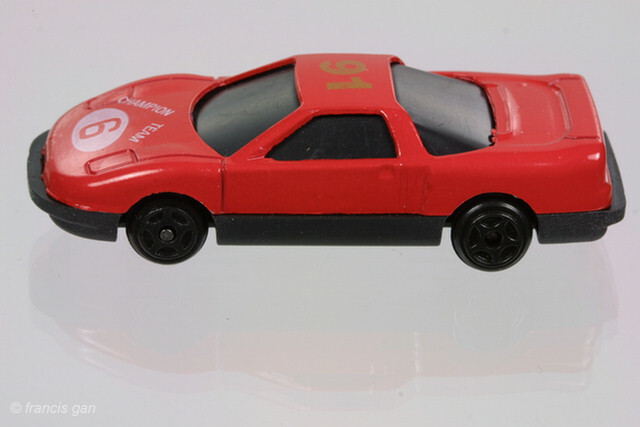 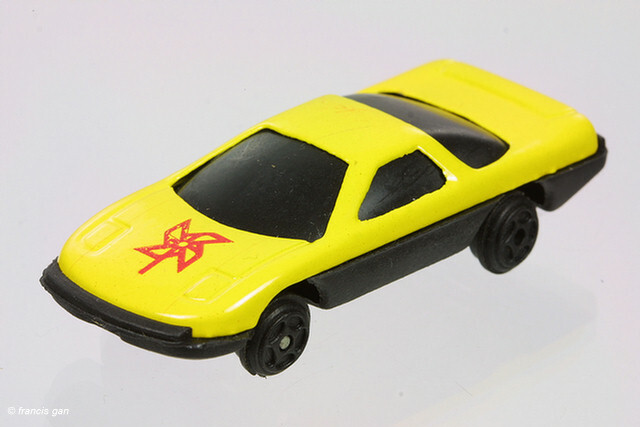 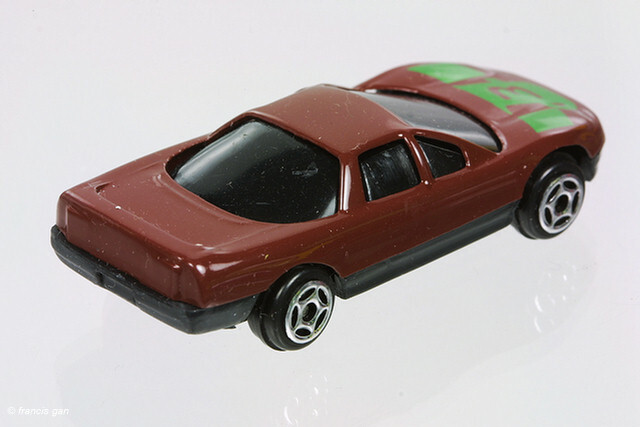 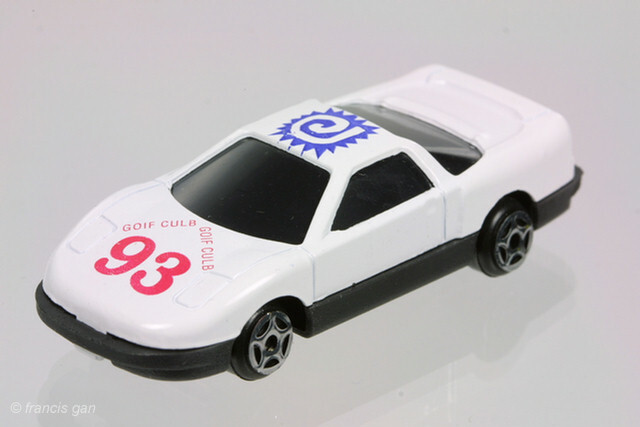 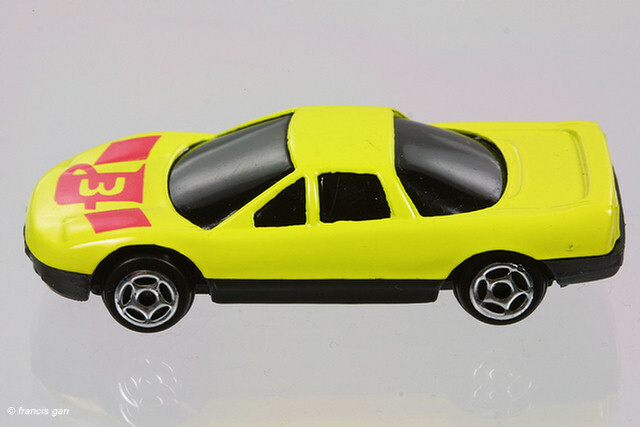 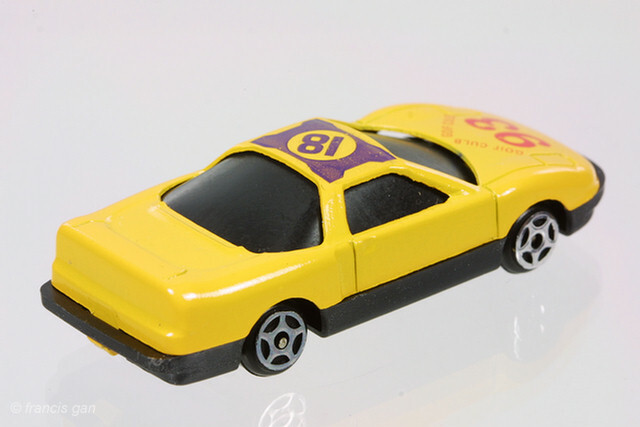 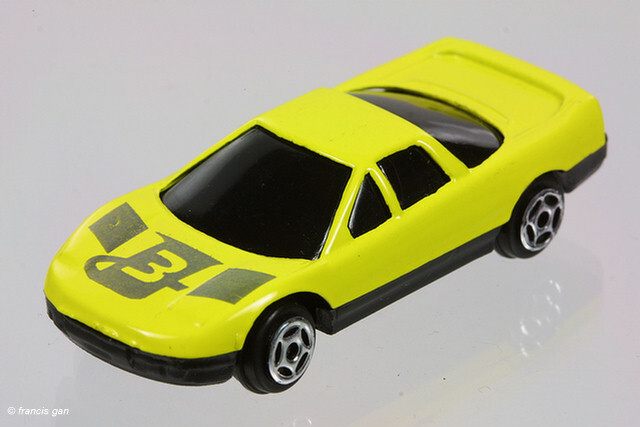 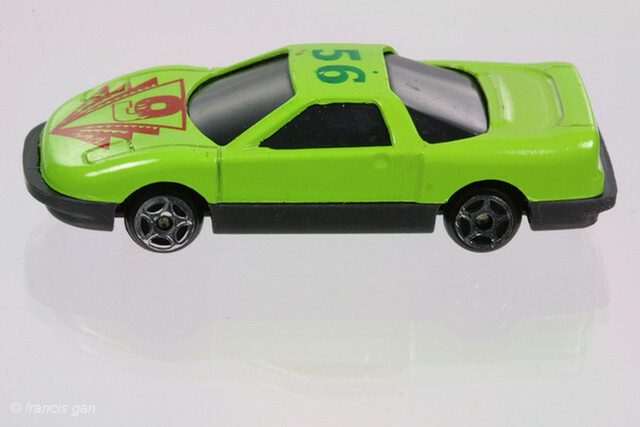 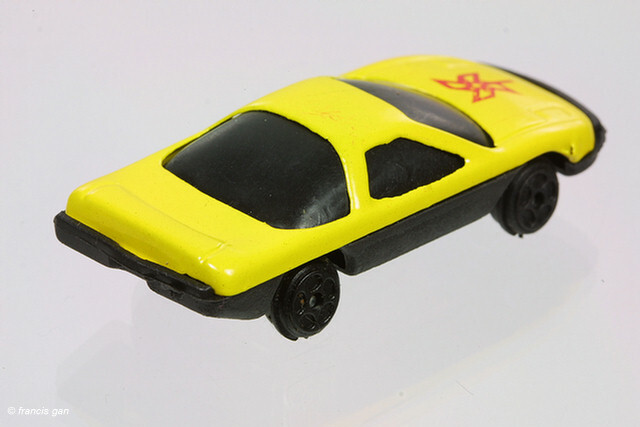 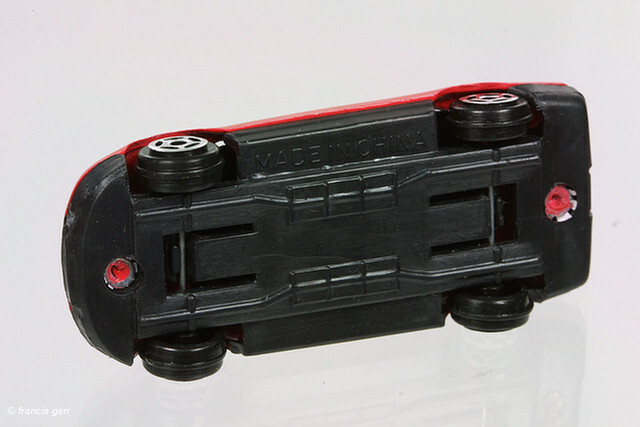 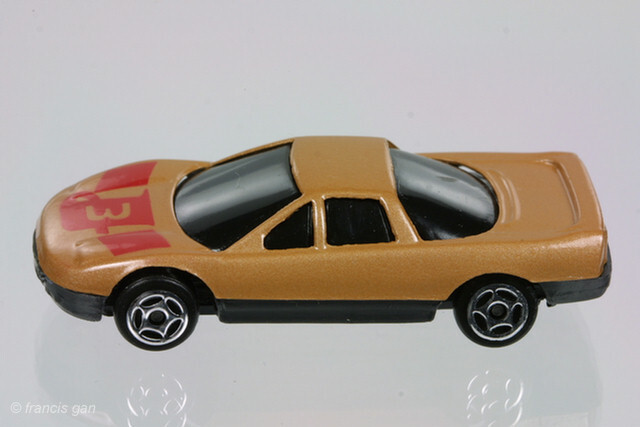 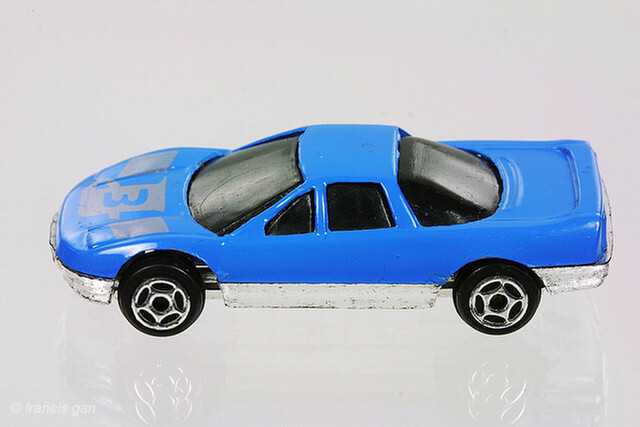 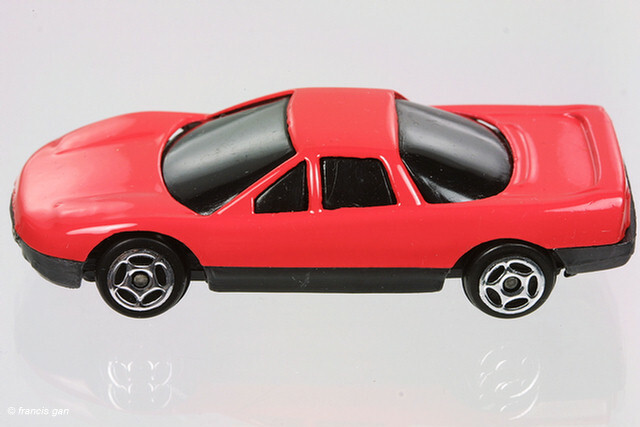 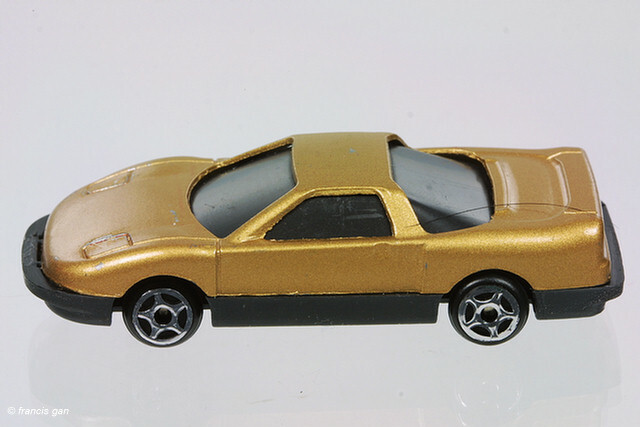 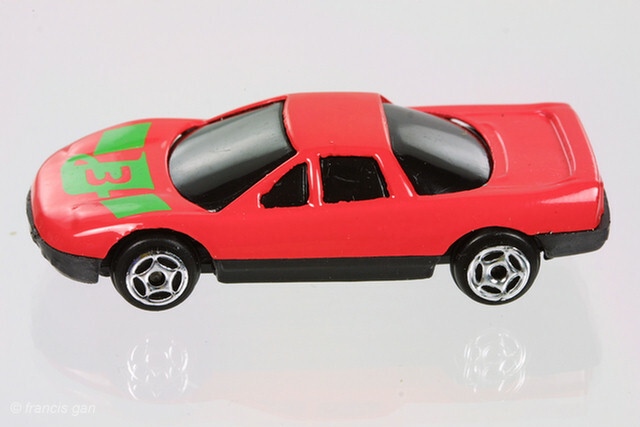 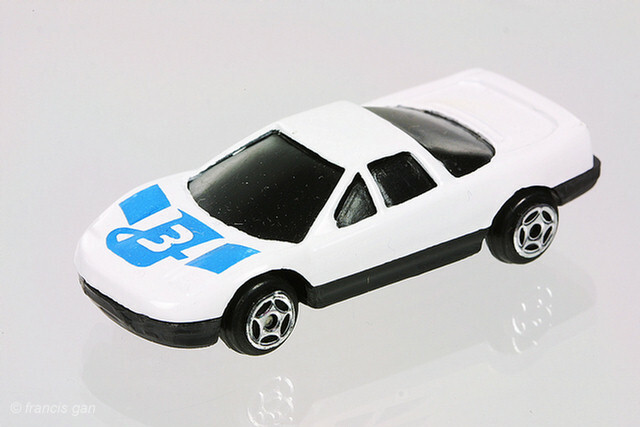 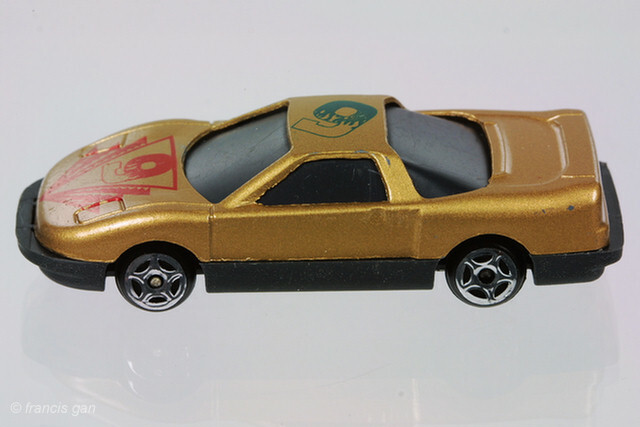 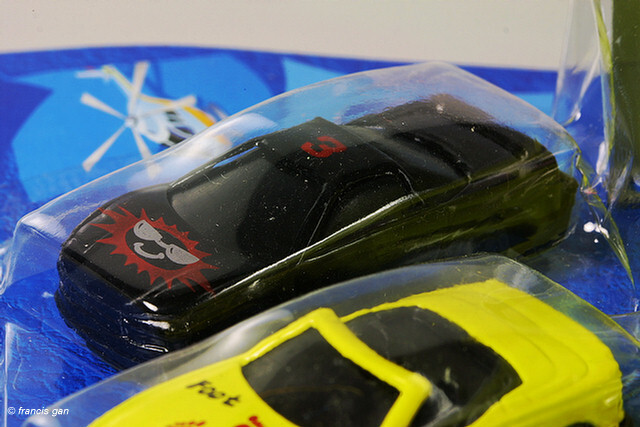 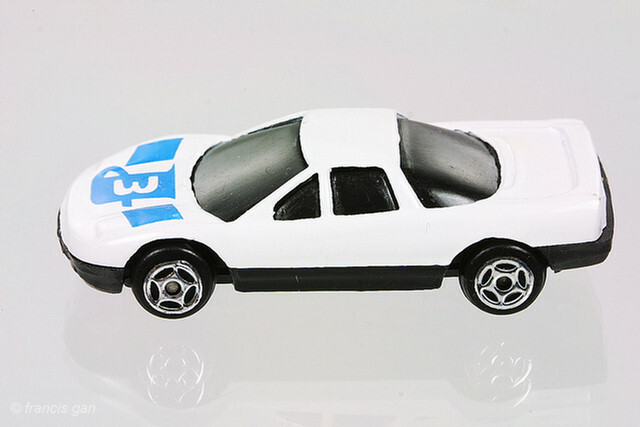 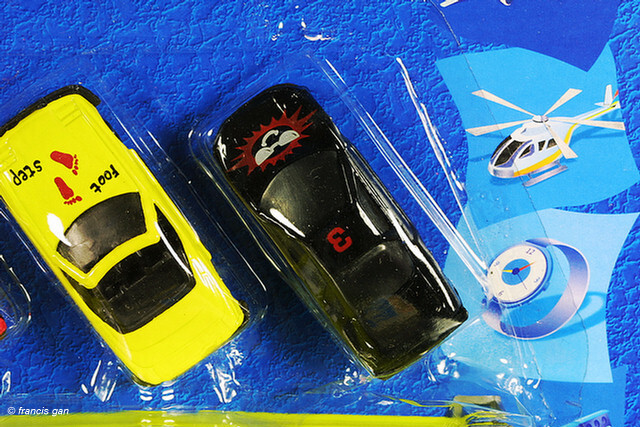 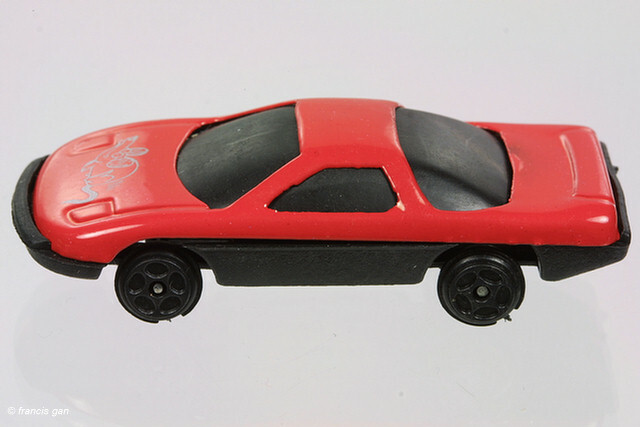 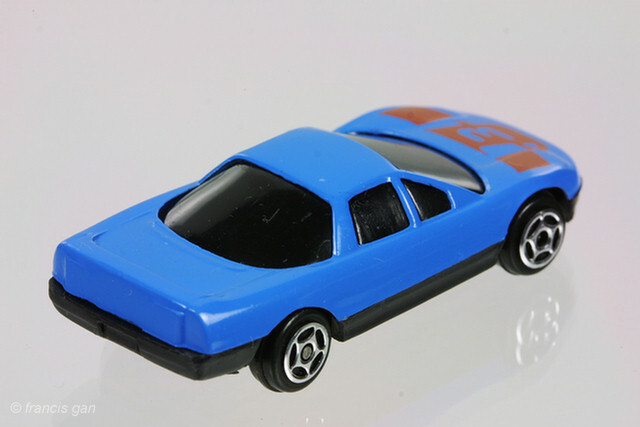 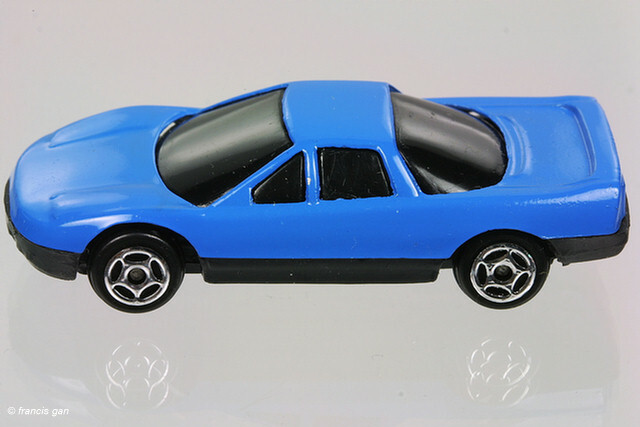 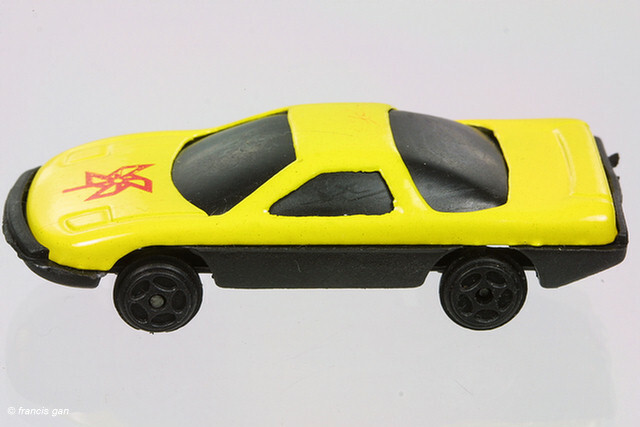 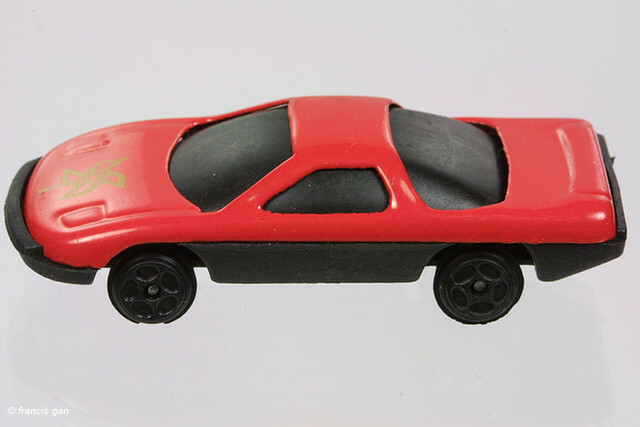 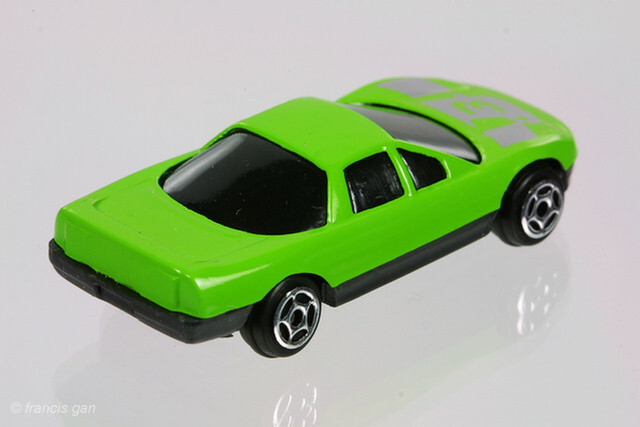 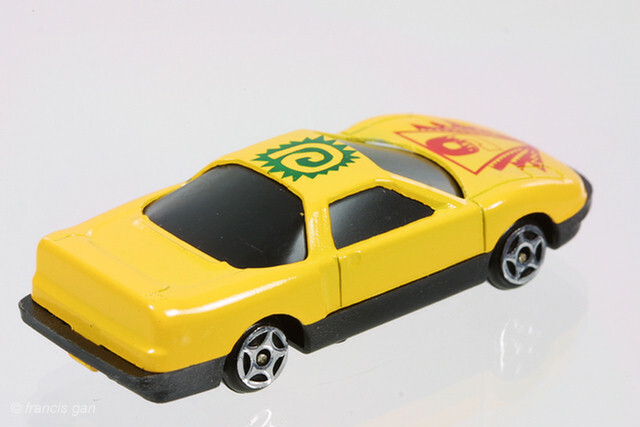 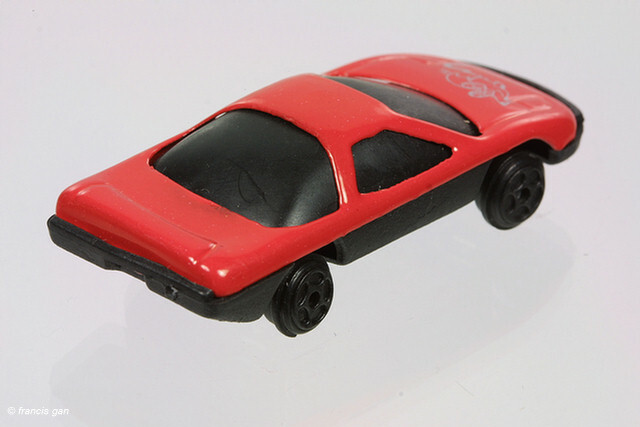 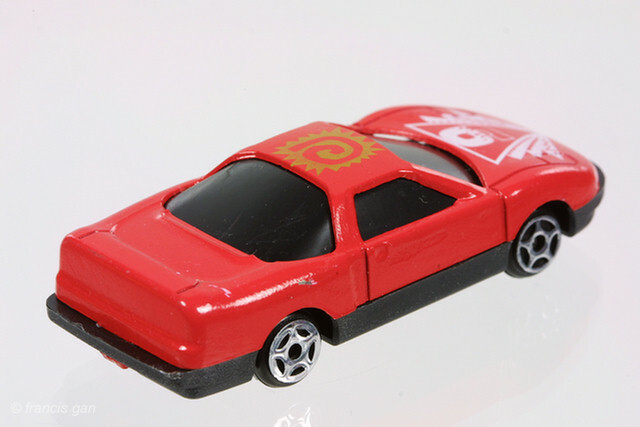 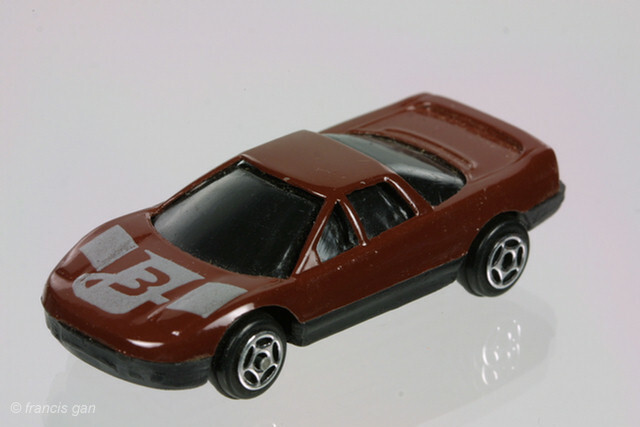 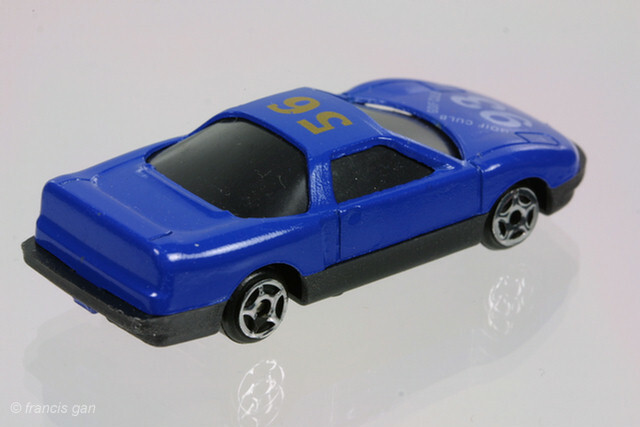 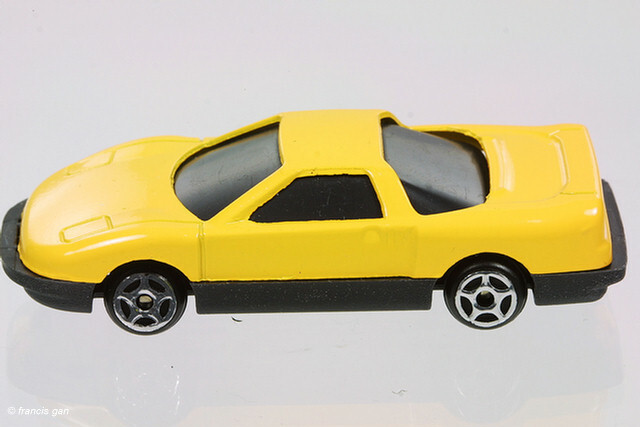 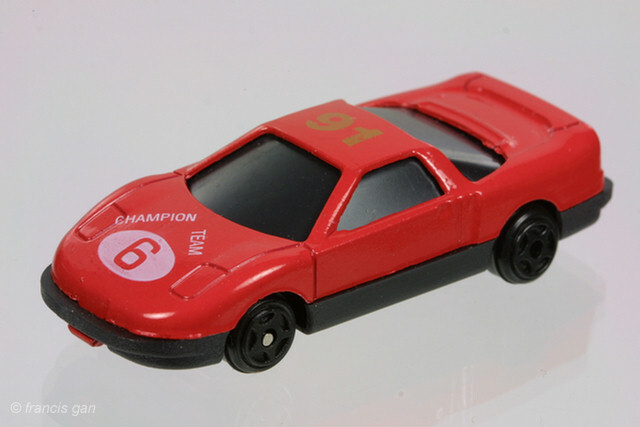 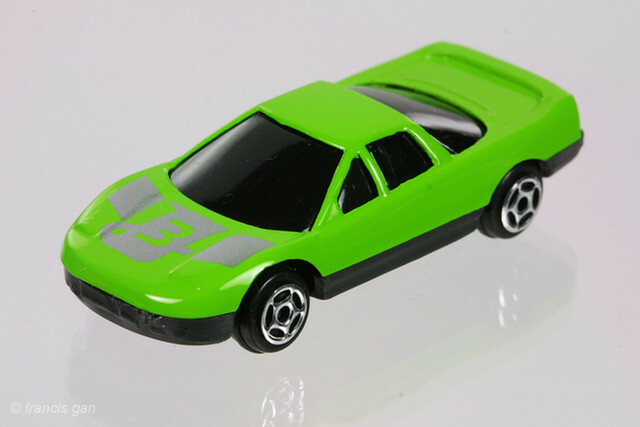 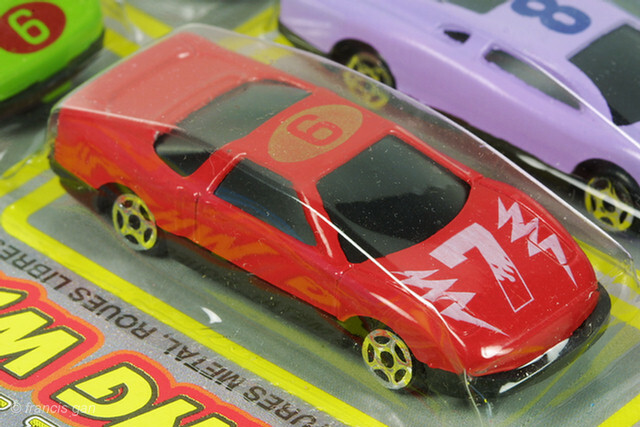 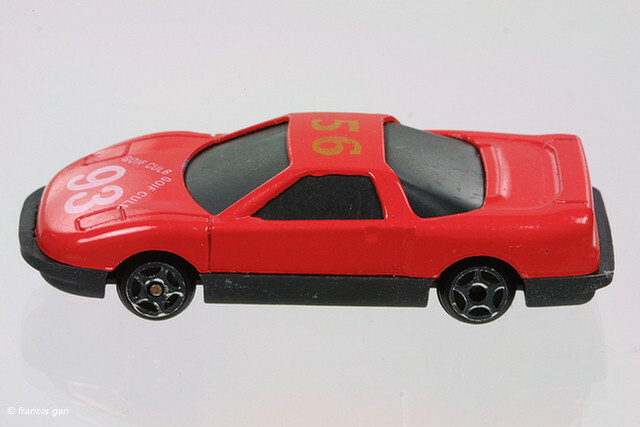 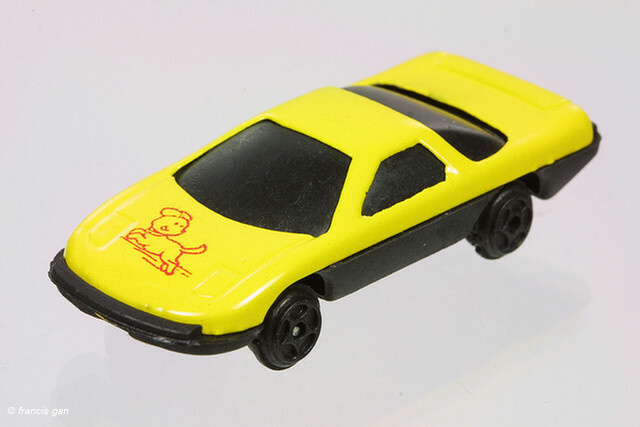 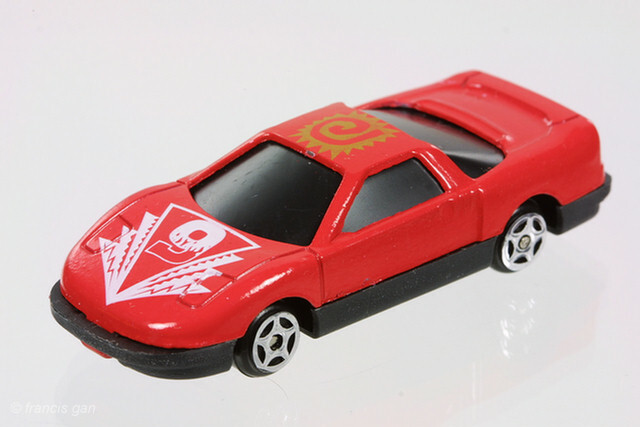 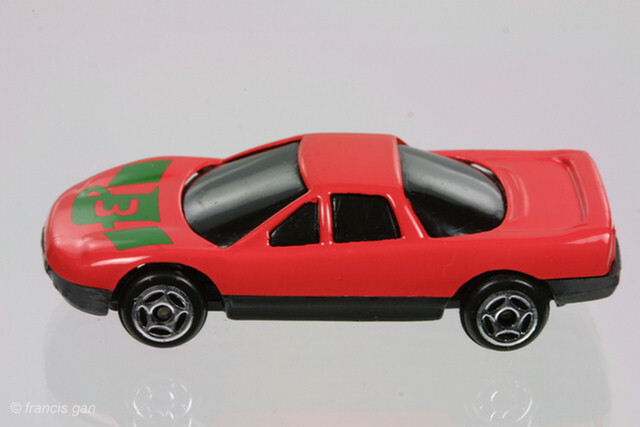 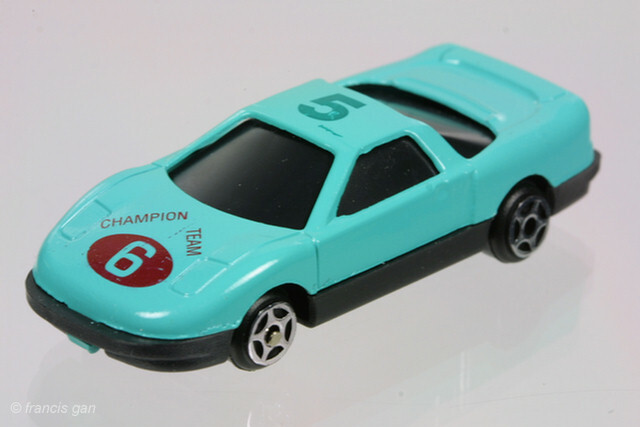 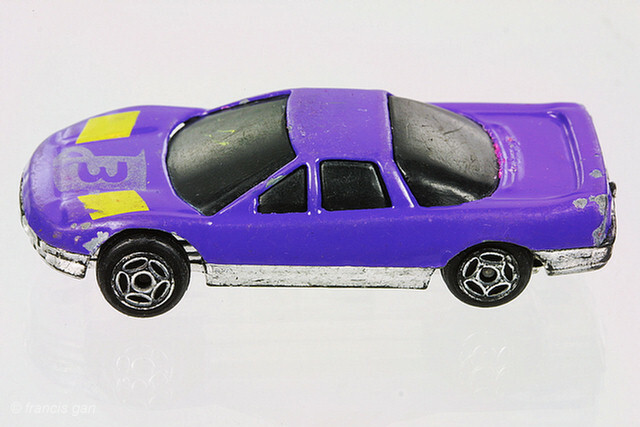 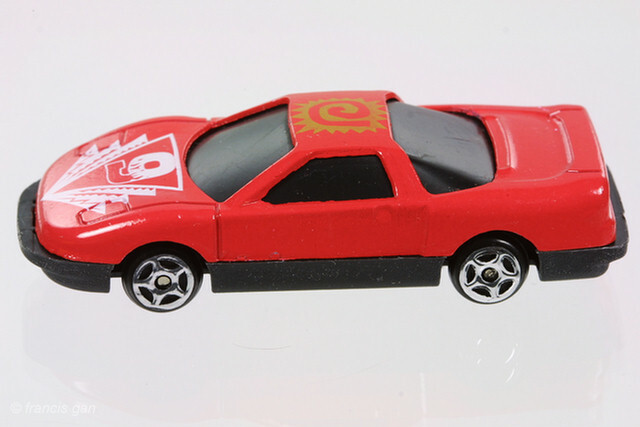 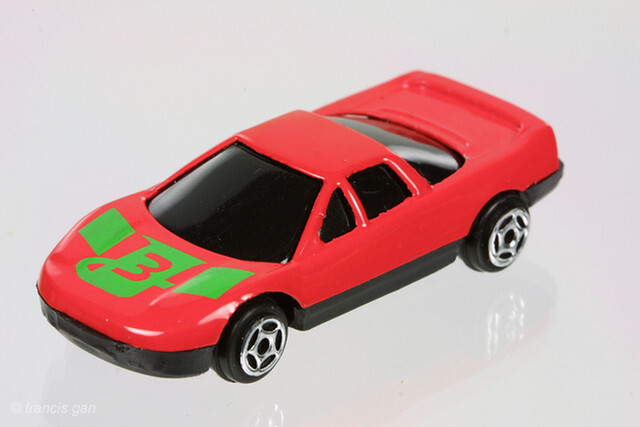 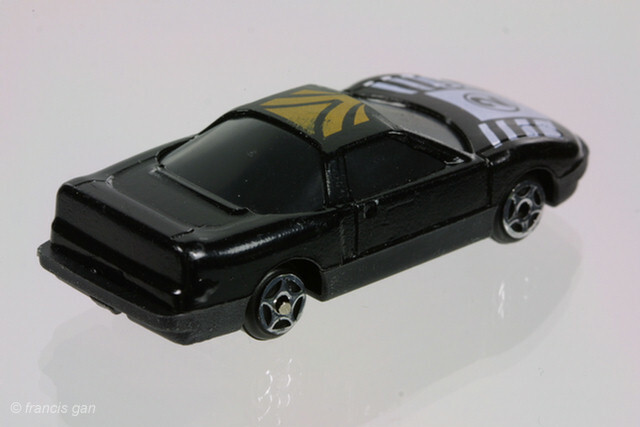 These are about the most crude renditions of the NSX in the model world. 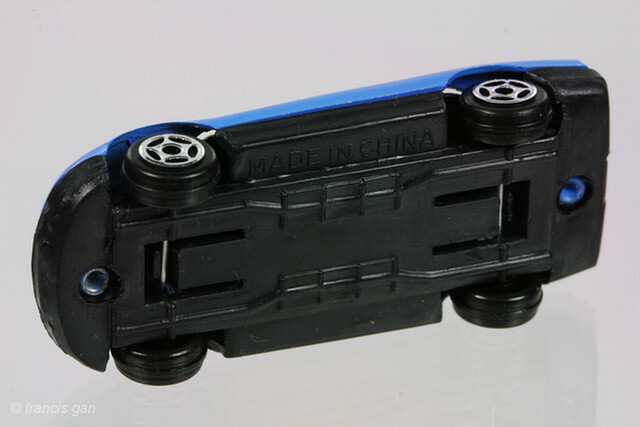 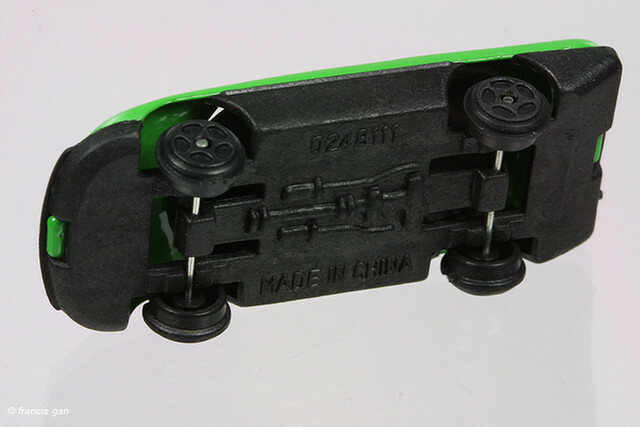 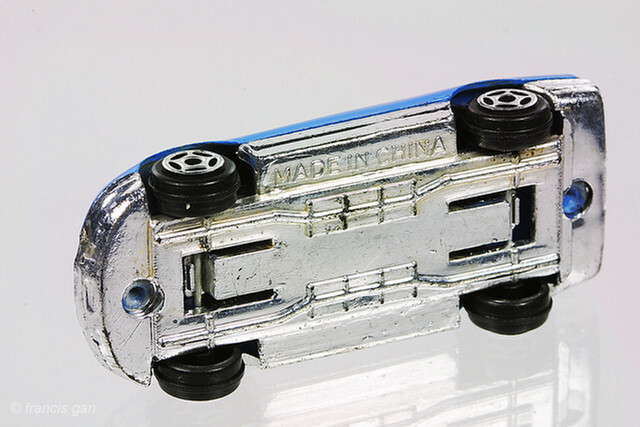 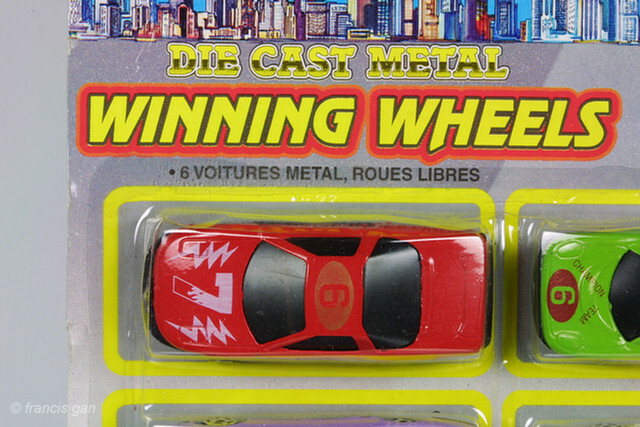 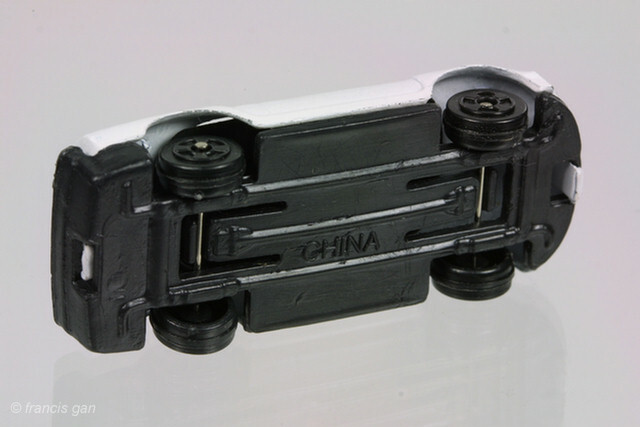 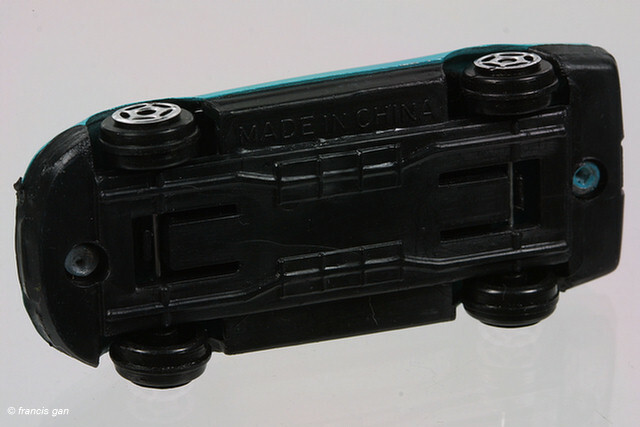 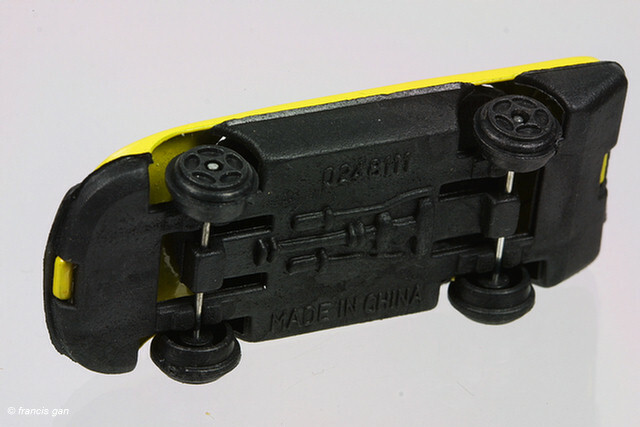 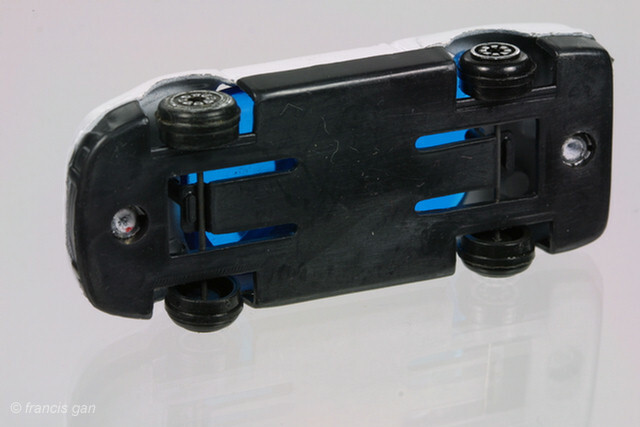 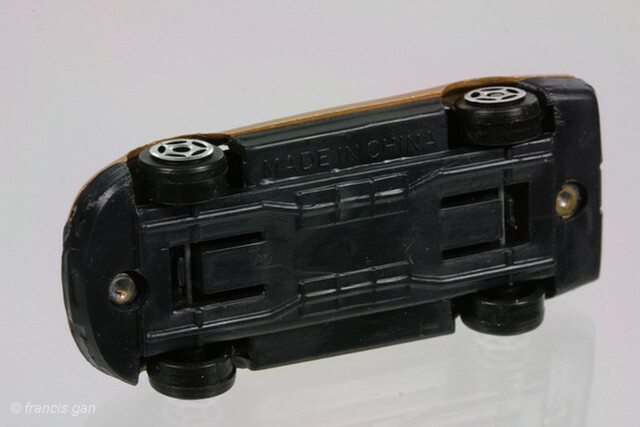 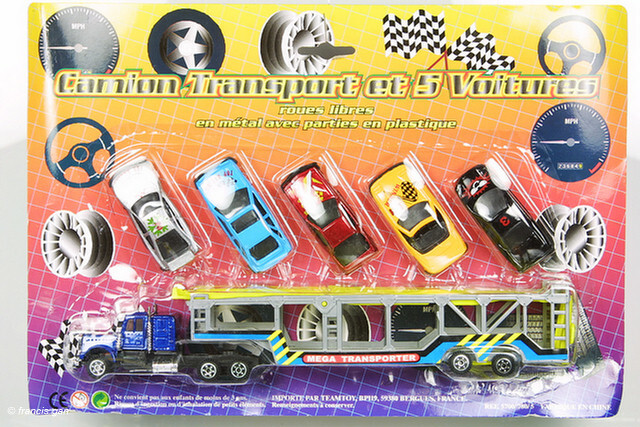 From what I can tell, they are low quality castings and assemblies made in China. 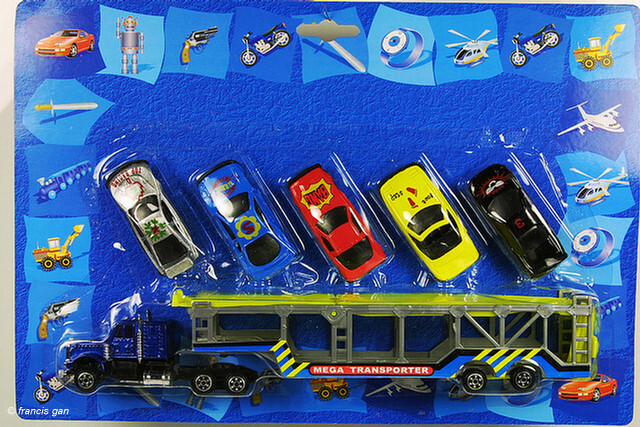 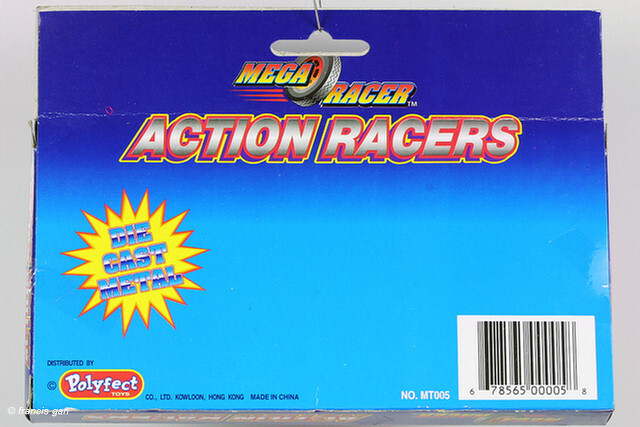 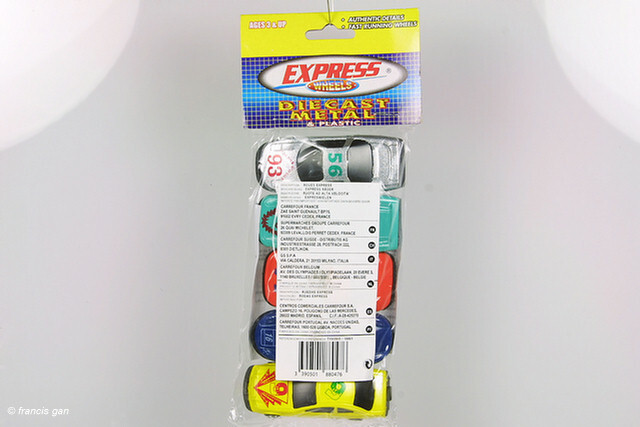 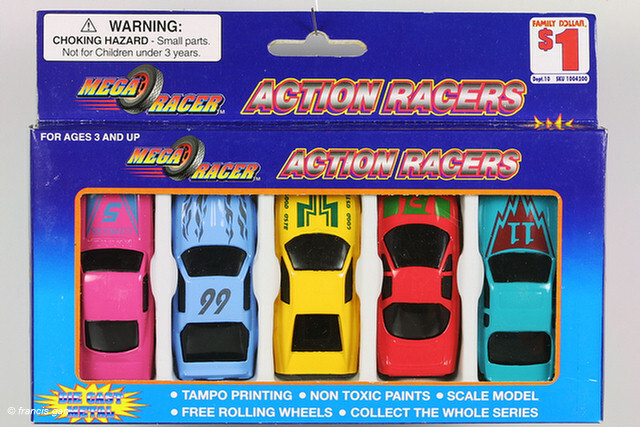 They are approximately 1:64 scale. 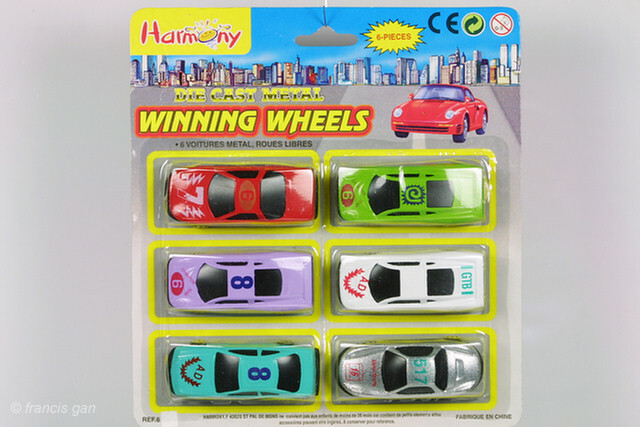 All of these have no interiors and dark windows. 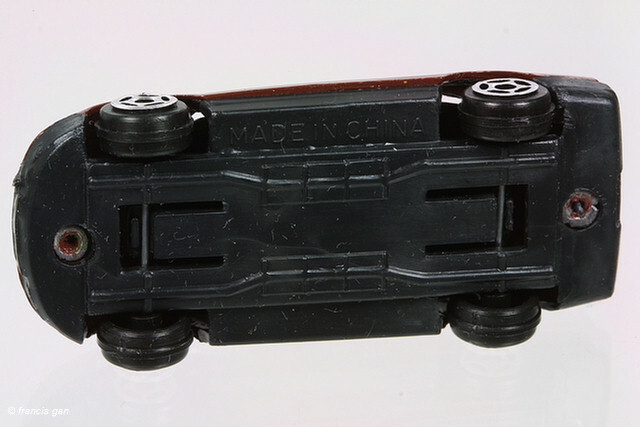 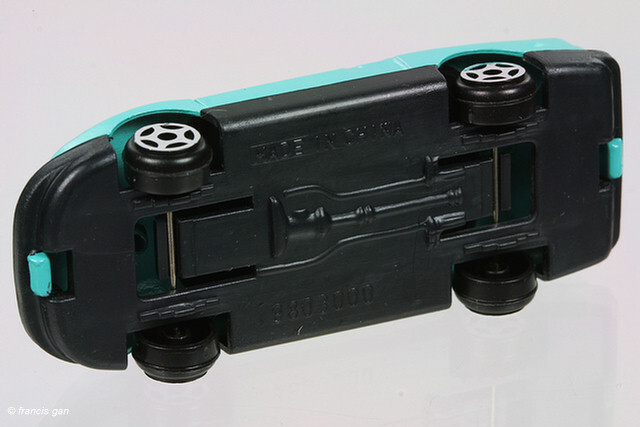 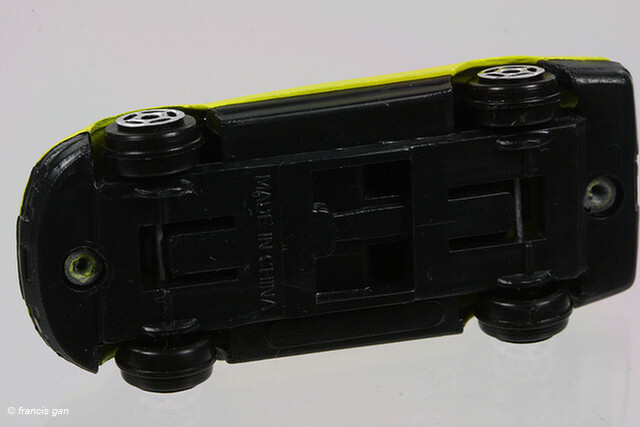 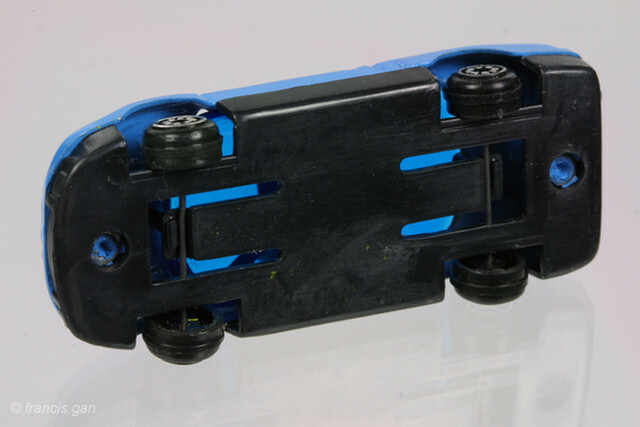 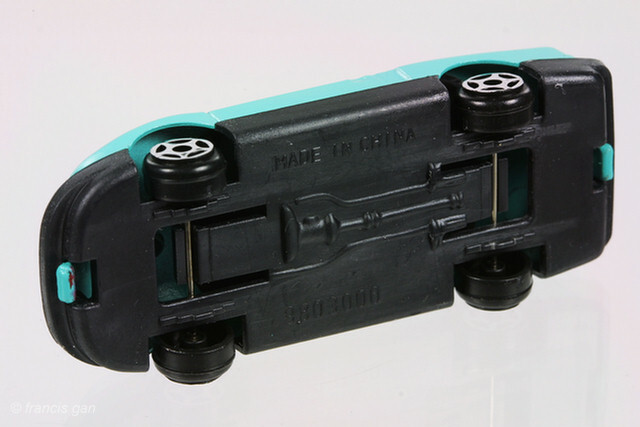 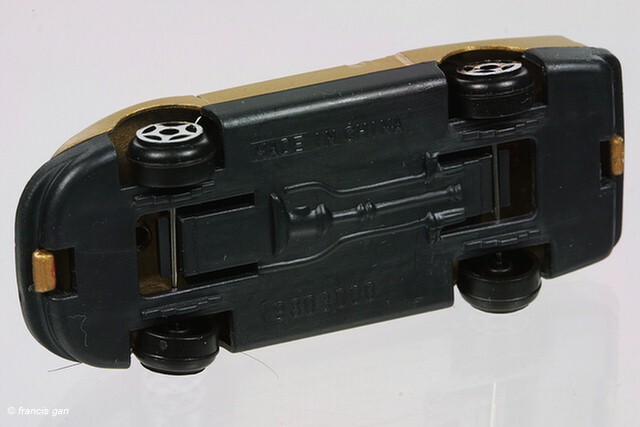 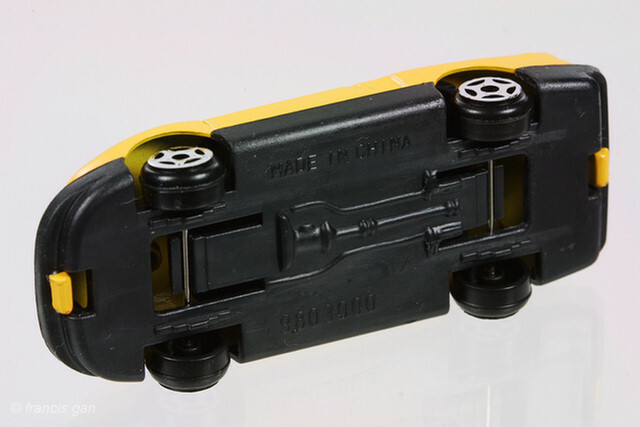 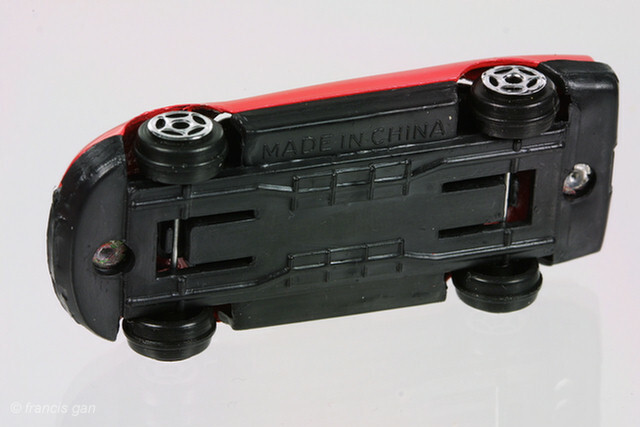 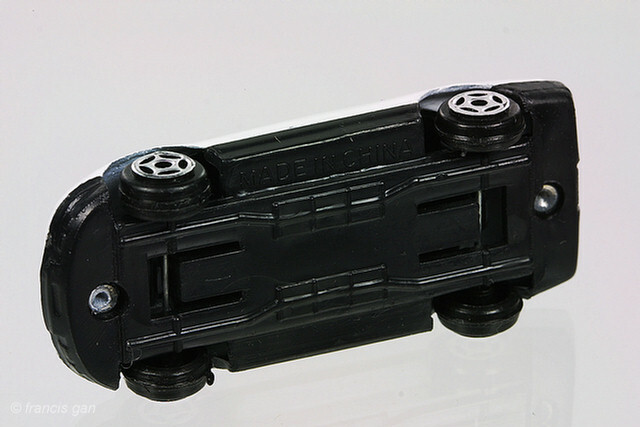 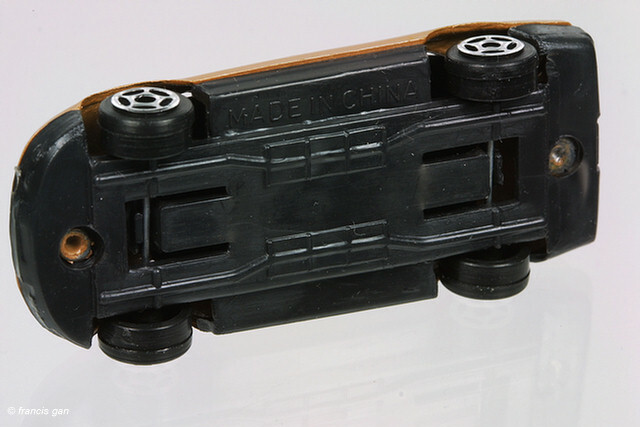 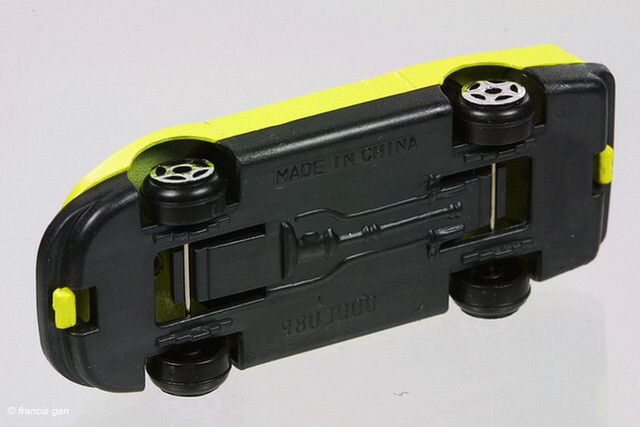 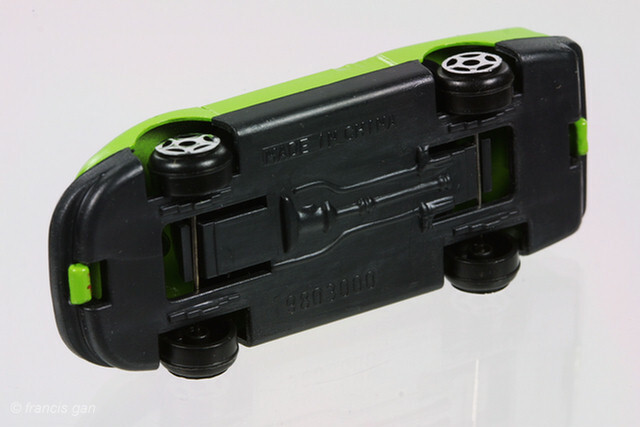 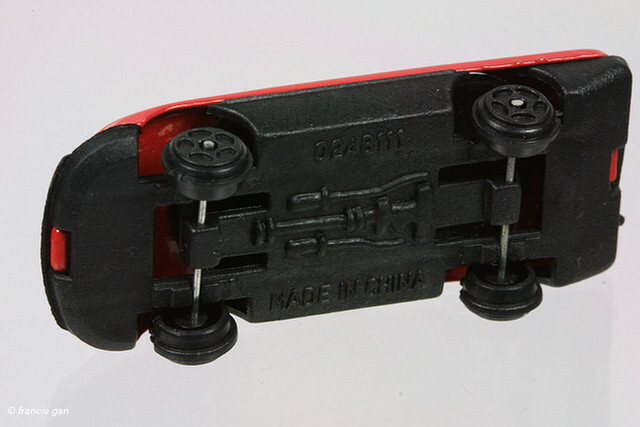 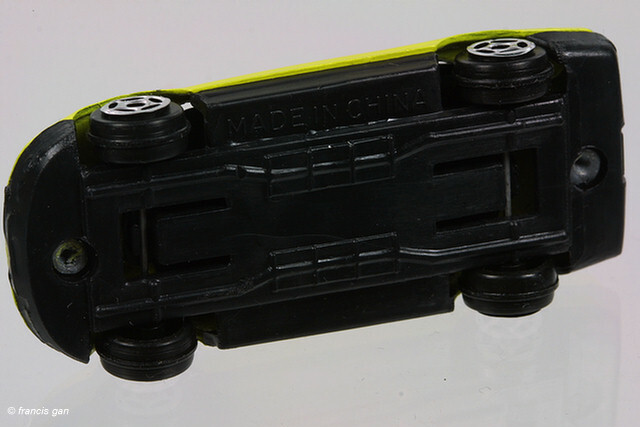 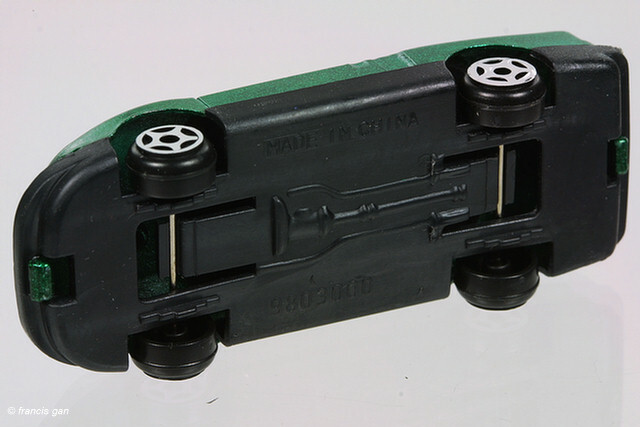 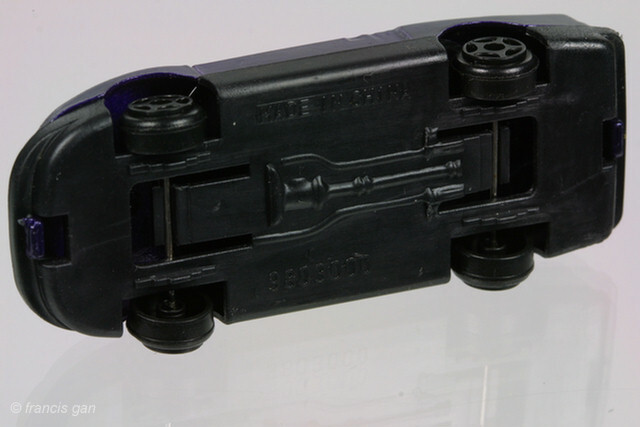 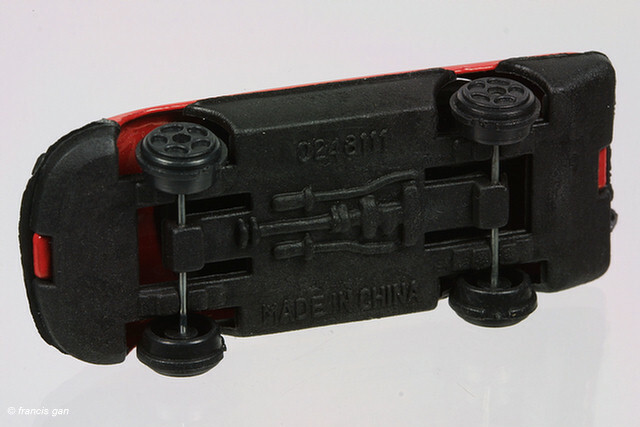 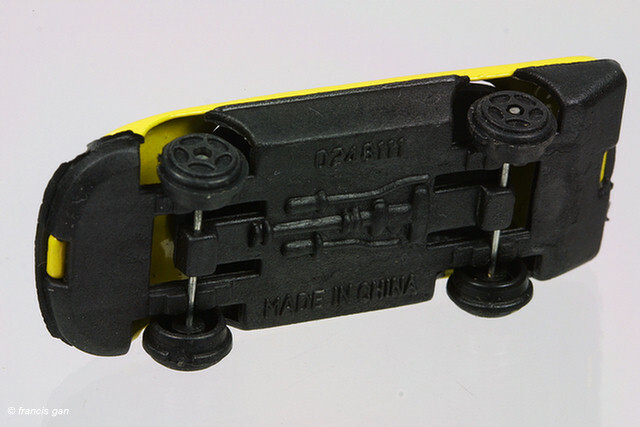 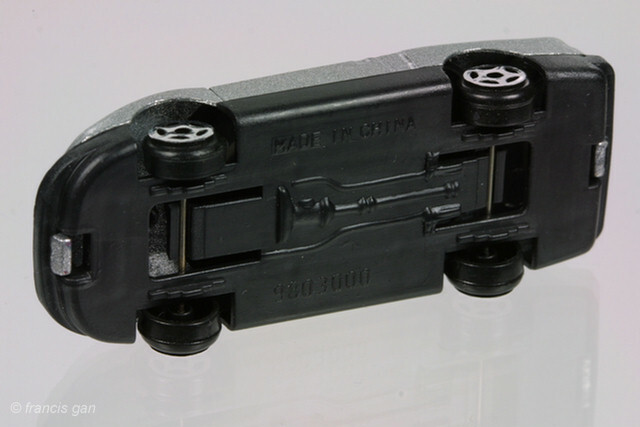 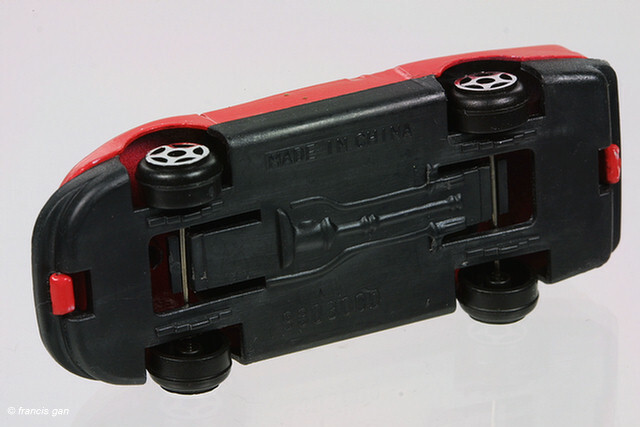 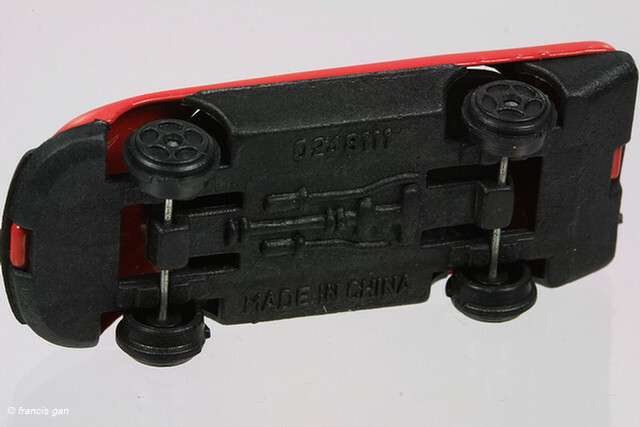 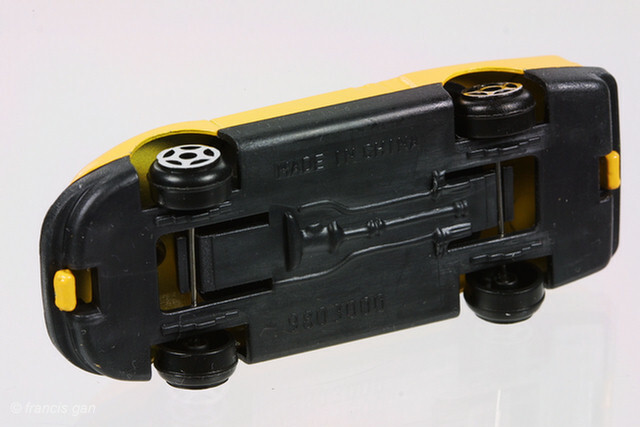 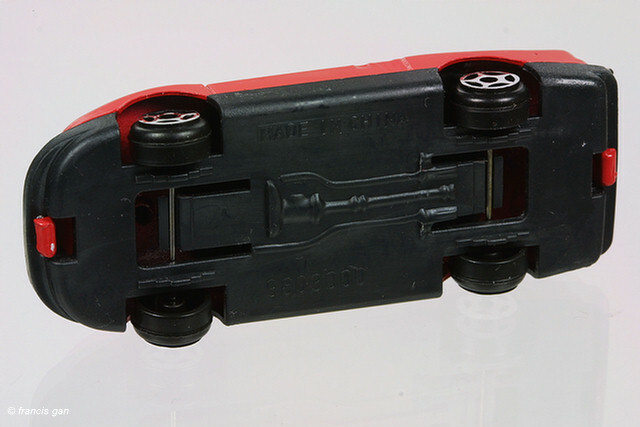 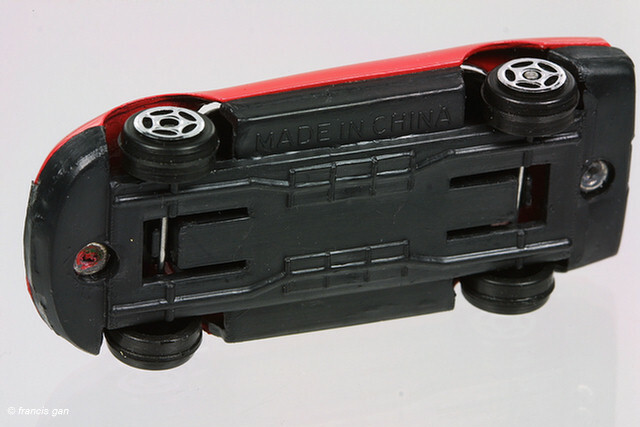 The undercarriages go from no detail to incorrect detail. 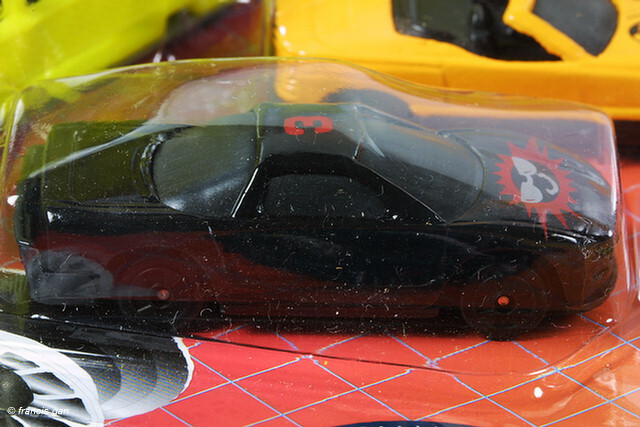 Some of these are from Summer while the rest are unknown. 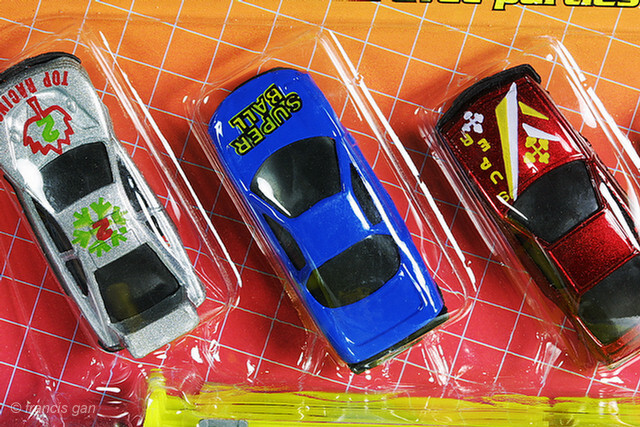 I'll let the photos speak for themselves. 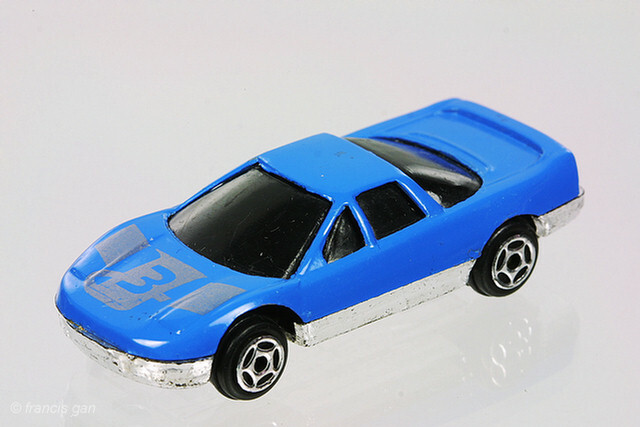 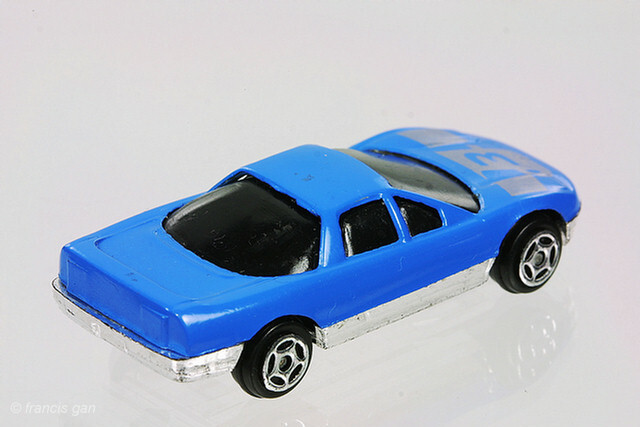 Blue with silver markings and a chrome base. 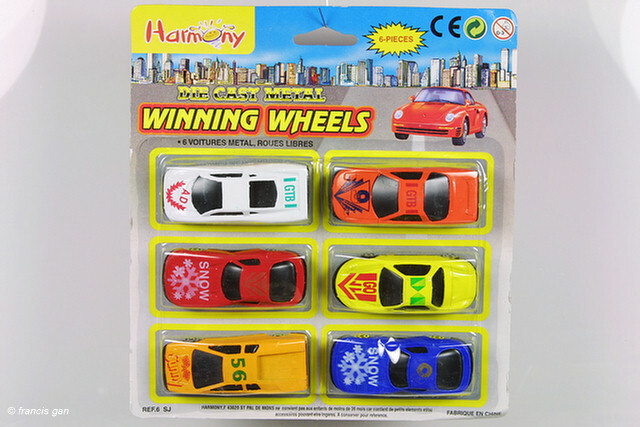 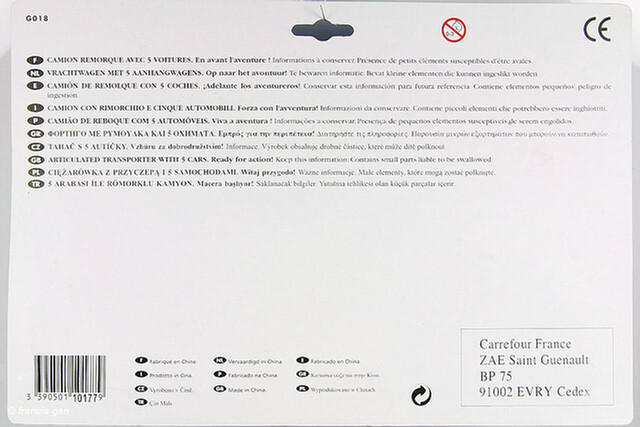 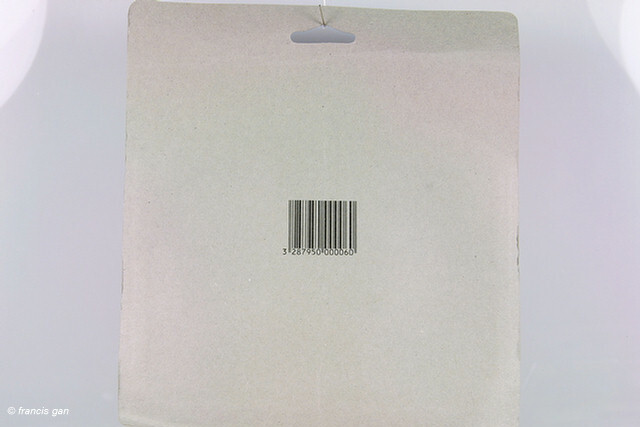 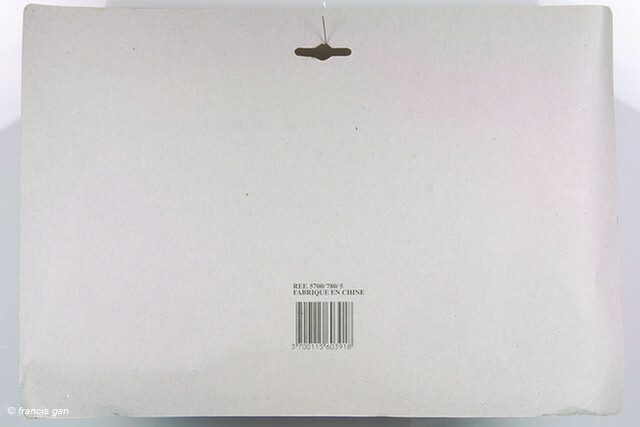 Some of these came from the factory with no tampos. 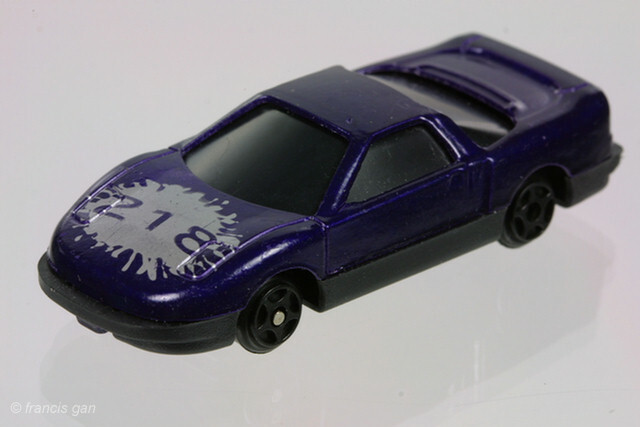 And another casting - probably the crudest of all.